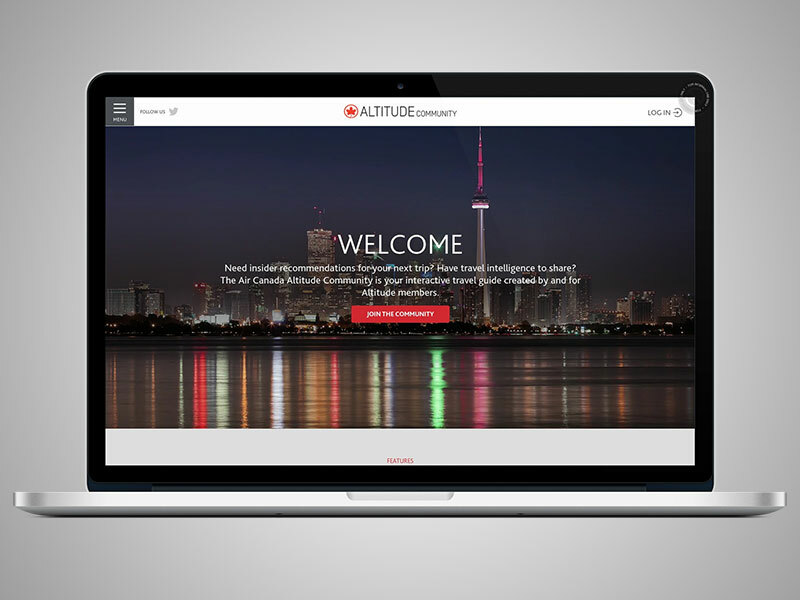 My name is Charles Lim and I’m a Designer, Developer, and Digital Content Marketer based in Toronto. 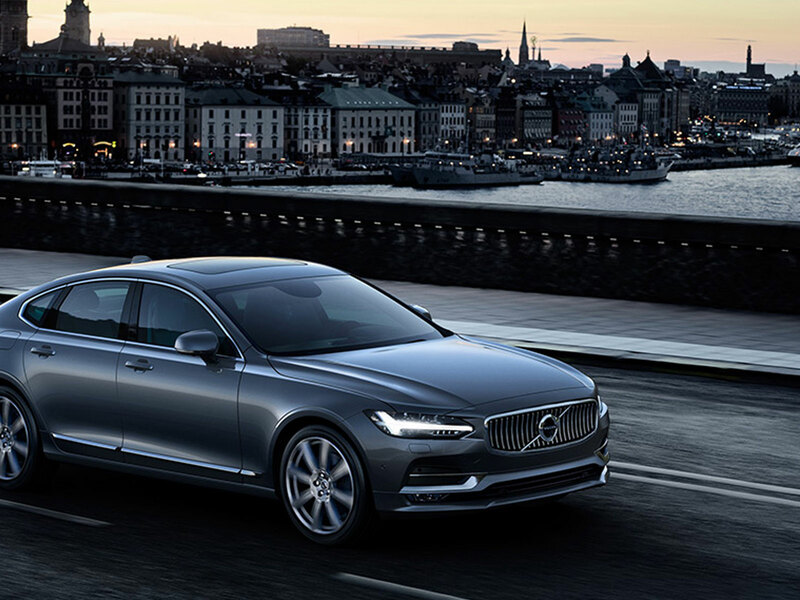 I’m passionate about products at the intersection of design, technology and content. 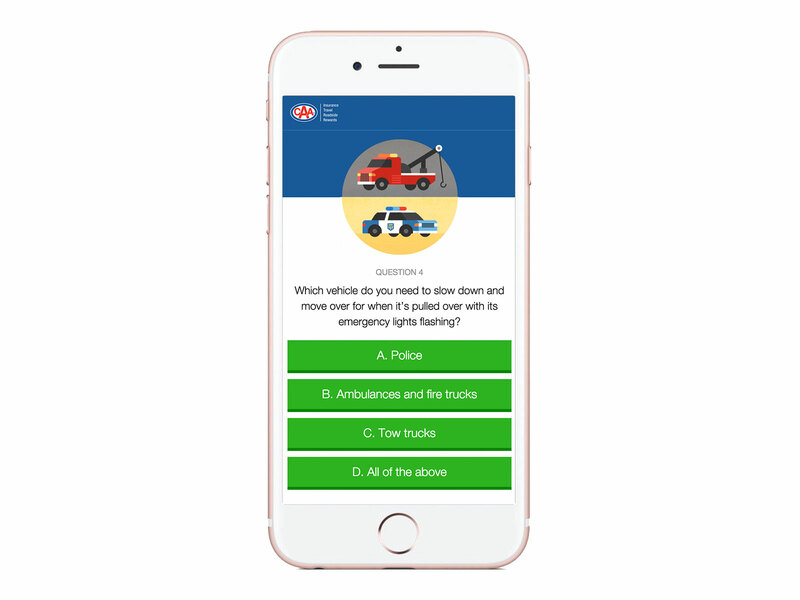 Got a digital problem worth solving? 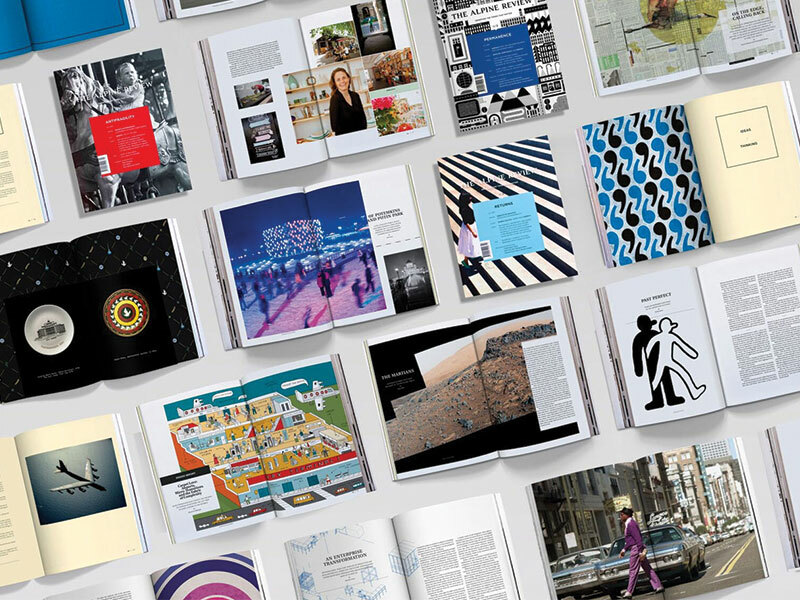 Good design comes from understanding the relationship between a brand and its audience. I use an analytical approach to solve problems in the broadest sense before diving into the fun little details. 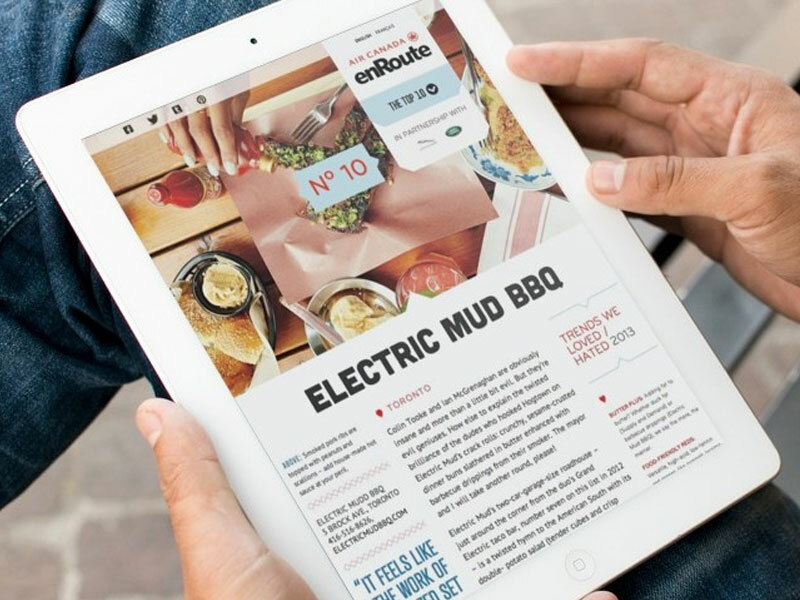 Every brand has unique stories to tell, and there are always new ways to tell them. 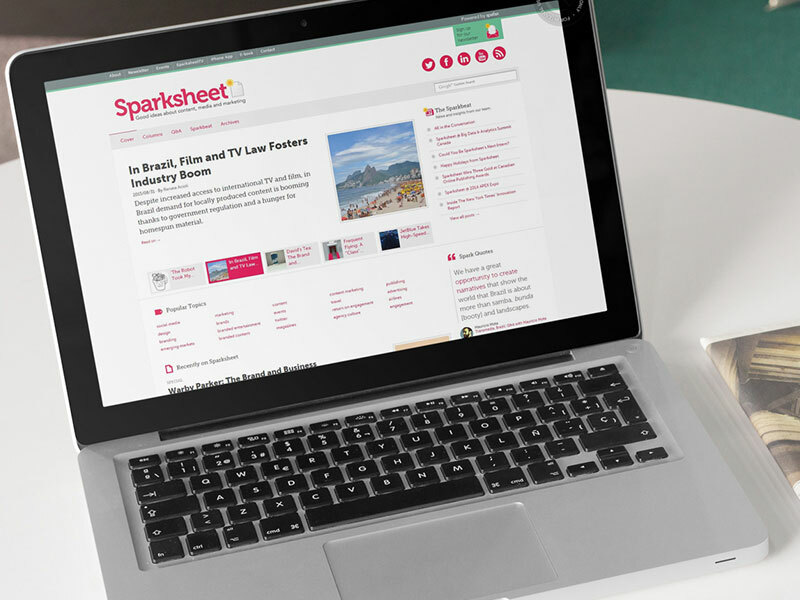 I help brands get the most value out of content across channels. Whenever possible, I use real code paired with rigourous testing to solve tough problems upfront. 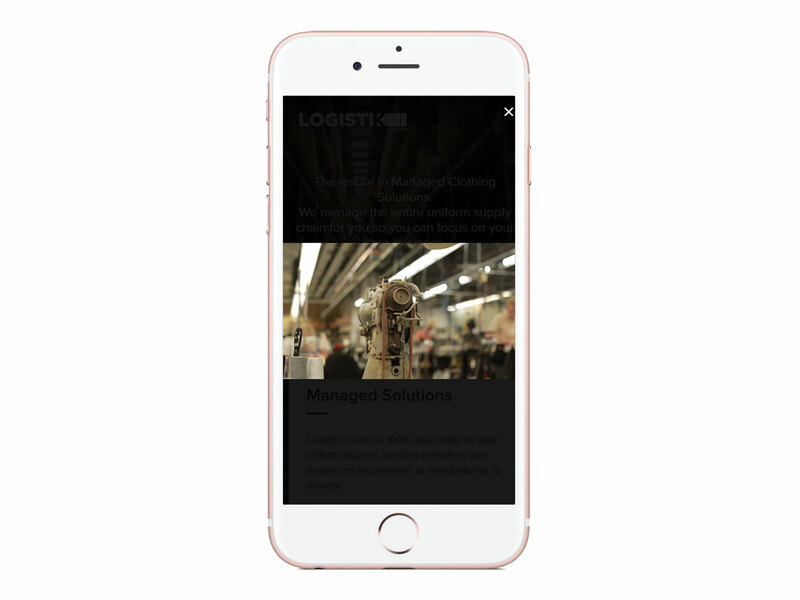 It's part of keeping a modern digital workflow that meets today's technical standards and ensures performance and interactivity. 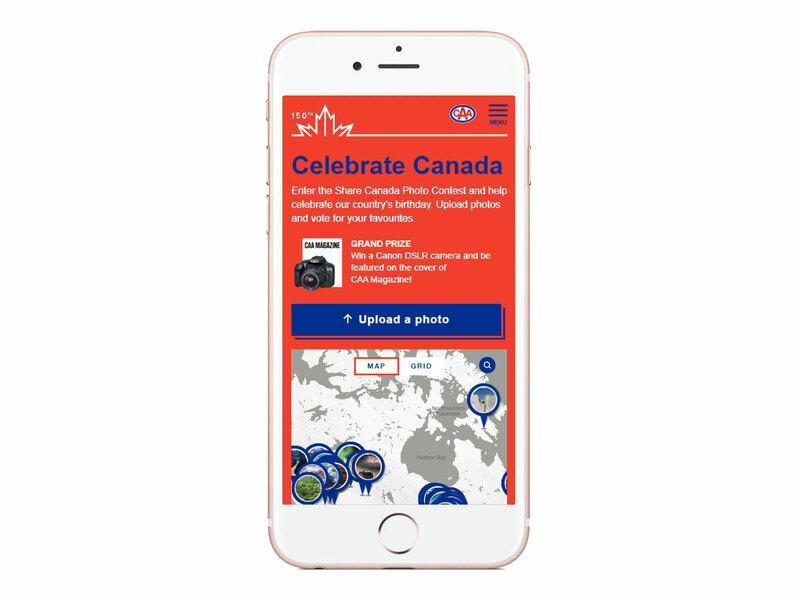 Designed and developed a photo submission campaign that evokes pride in celebration of Canada Day and promotes CAA as a distinctly Canadian service. 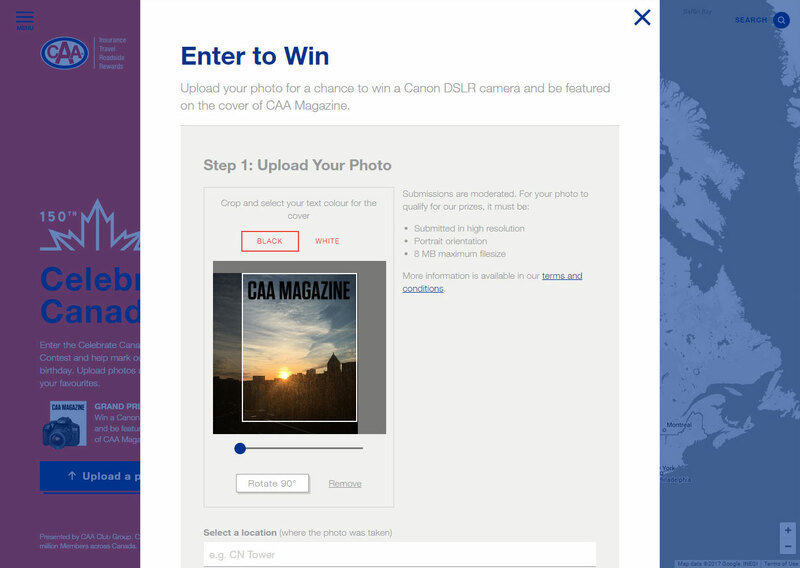 The app leverages the Google Maps and Places APIs, and allows users to upload and crop their photos to mimic a CAA magazine cover. Winner of the COPA for Best Digital Campaign 2017. 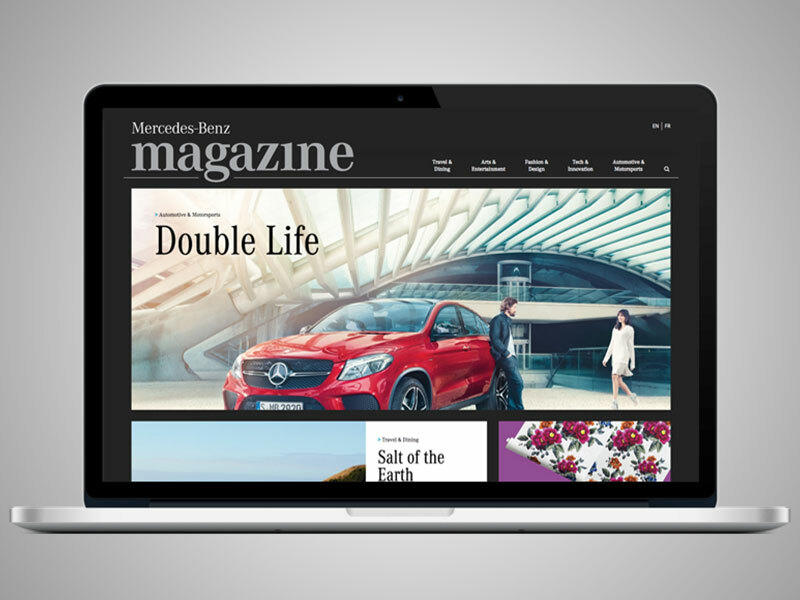 Put Mercedes-Benz’s best foot forward to showcase their existing English and French magazine content in new, digital channels. 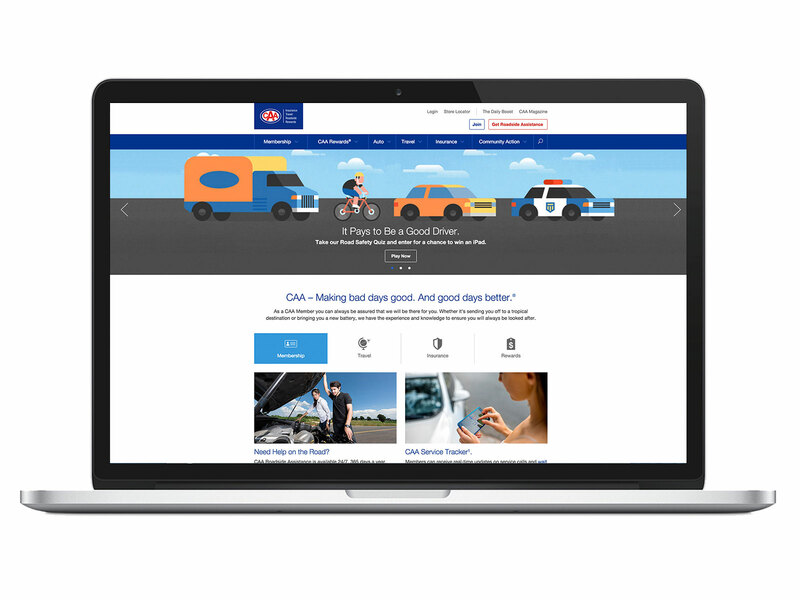 Designed and built with modern web technologies in mind, we designed and built a world-class, responsive website worthy of the Mercedes-Benz logo. 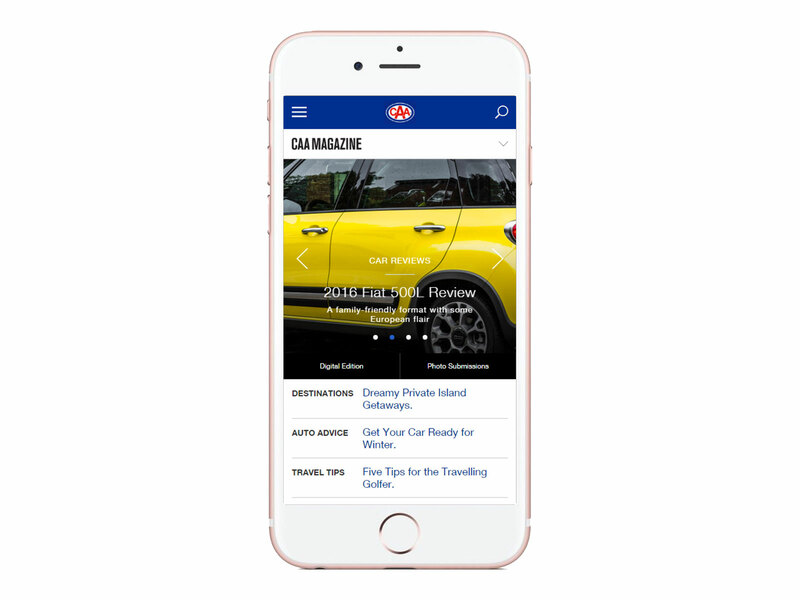 We leveraged new and existing content from the printed magazine, social media and the Mercedes-Benz YouTube account. 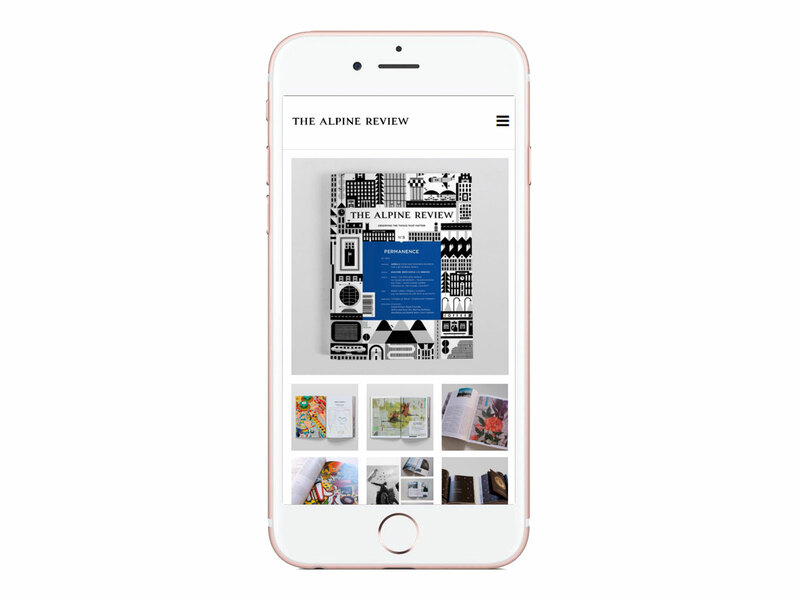 A 2015 Folio Digital Award for Site Design. 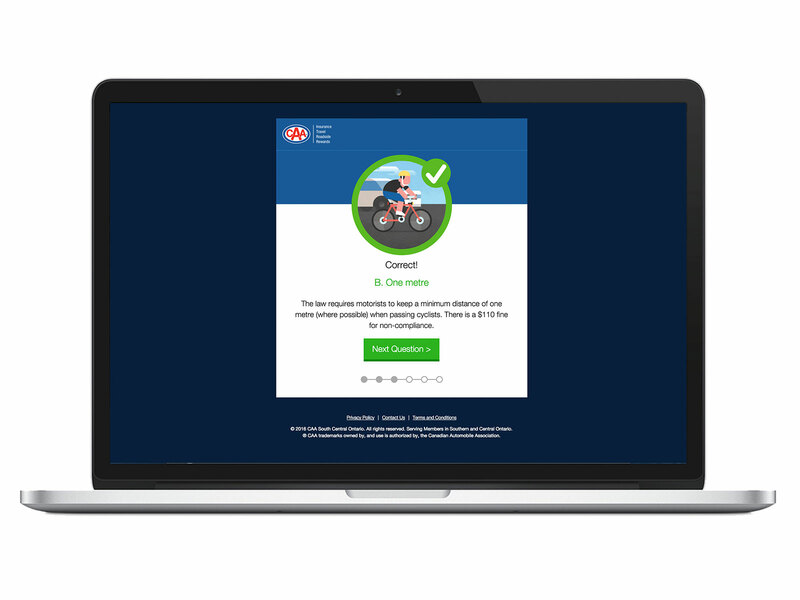 Client feedback was hugely positive, and the project was a great experience for the team. 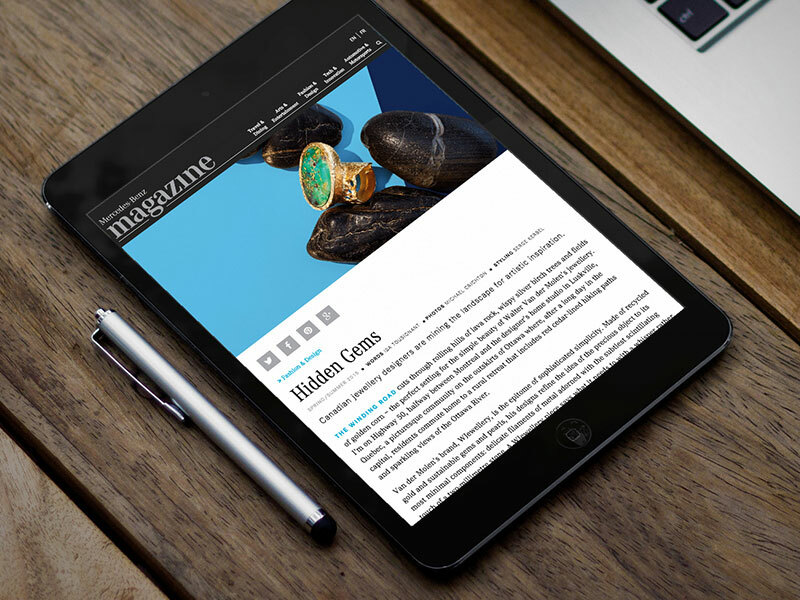 The site was also nominated for Best Site Design in the Ozzies Digital category. 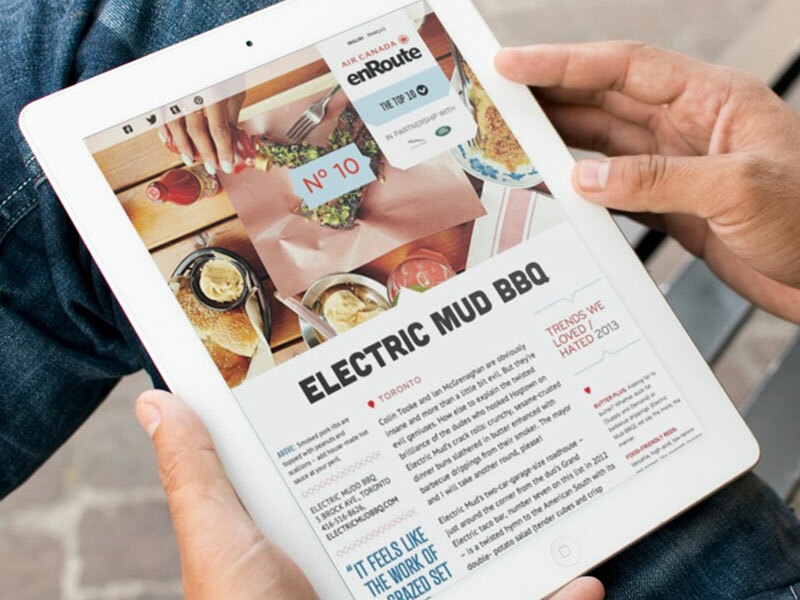 While the print magazine content was tailored exclusively as a loyalty tool, the microsite opens up the content to fans and potential customers. 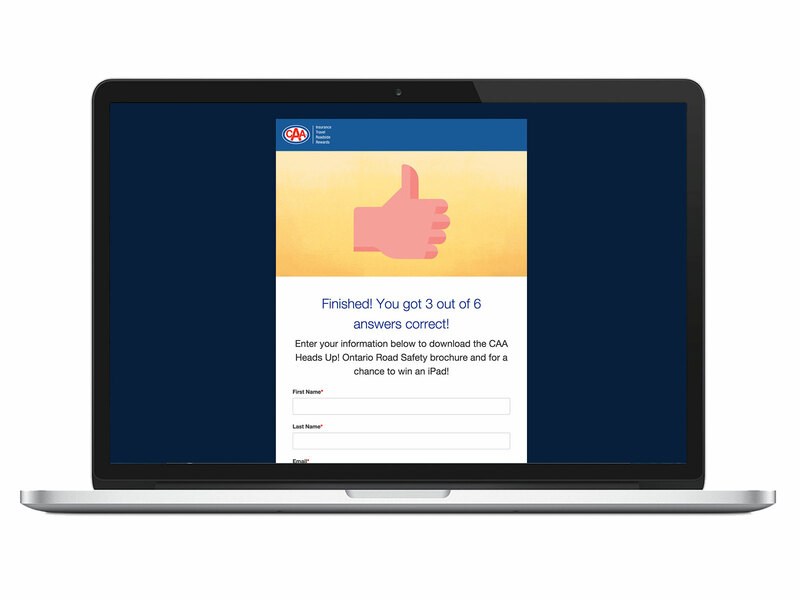 Build value for the loyalty program by engaging the members in a fun and meaningful way. 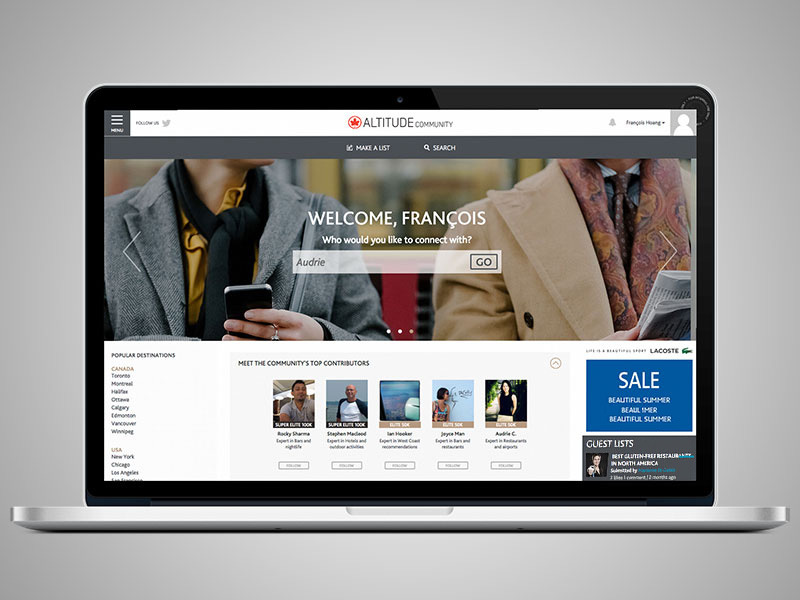 Create a branded social network and allow the airline’s frequent flyers to share insider travel knowledge with each other and browse recommendations written by others. 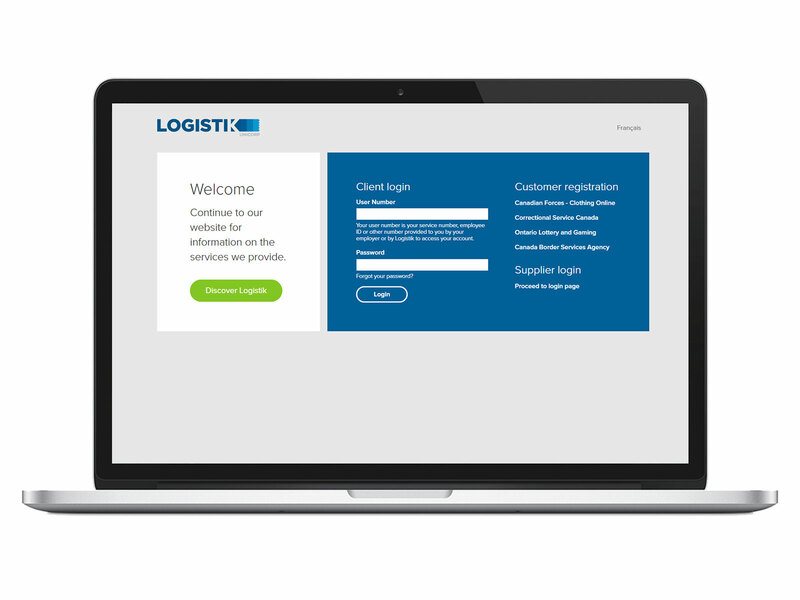 Members follow each other and receive updates when someone in their network posts something new. 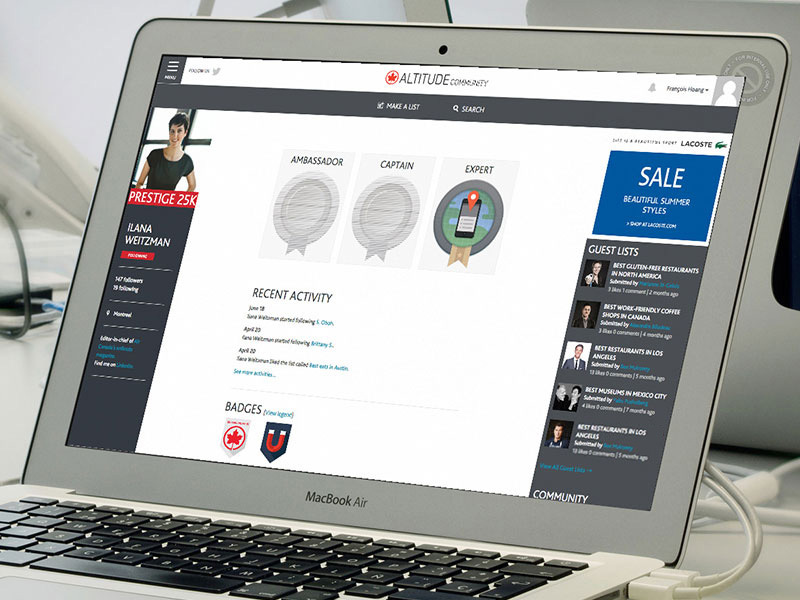 With a gamification component, members earn badges, privileges and even tangible rewards as they interact with the site. 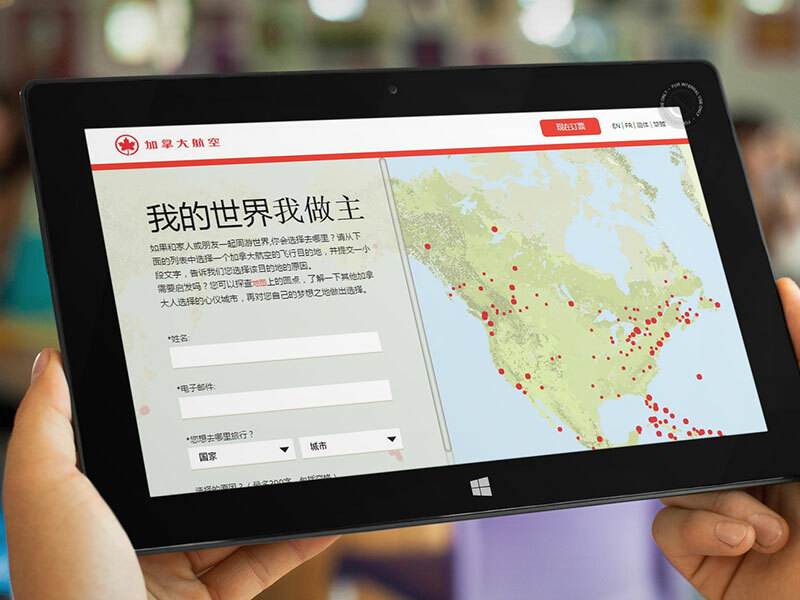 A very successful debut with more than 70% of the beta testers signing up for the community within 48 hours of launch. 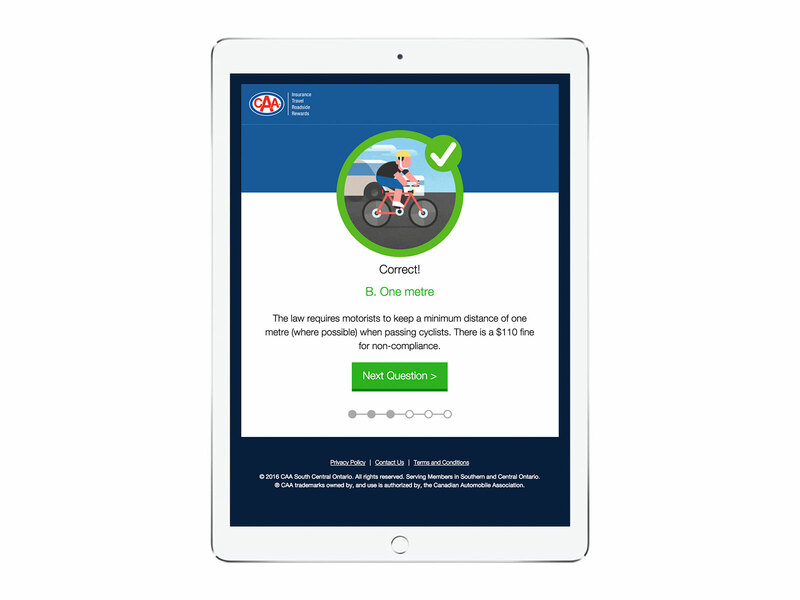 Within 5 days, 8% of the whole membership was registered. 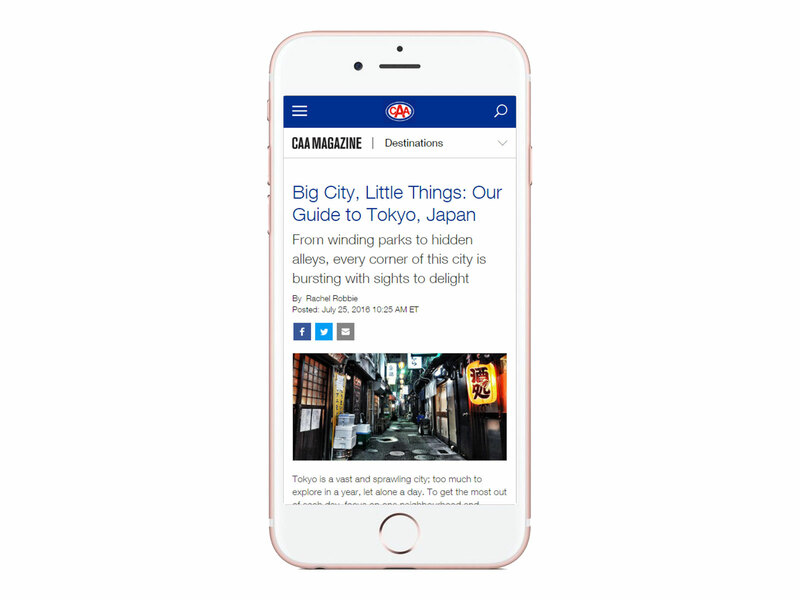 The platform has gained earned media in the marketing space, and there has been a huge push by advertisers to access the properties in order to reach these business travelers. 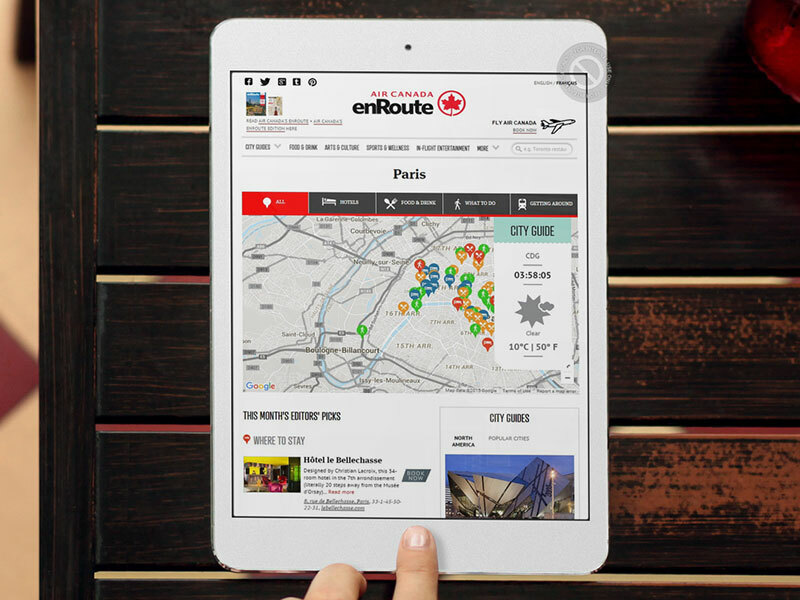 Engage frequent flyers and augment their buying behaviour in an exciting and fun way. 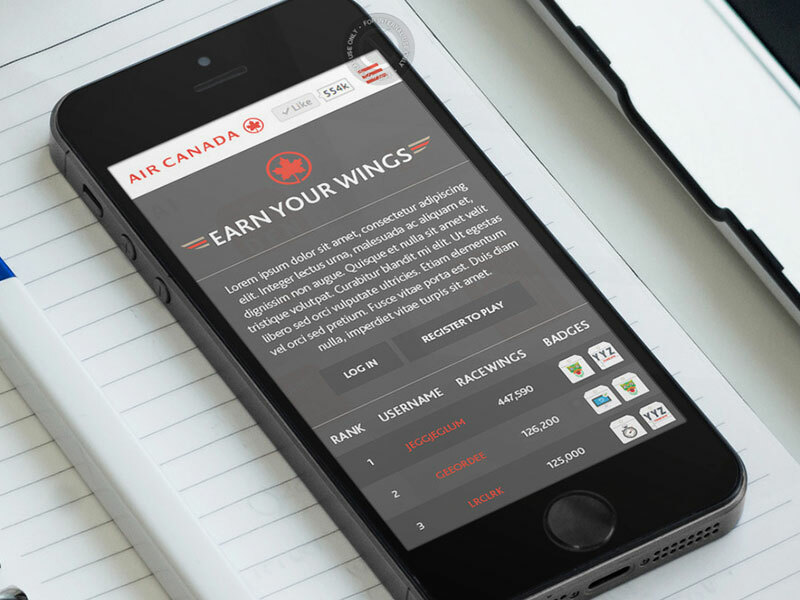 By setting up competitive and interesting challenges for users to strategically plan their flights and earn visually beautiful badges and valuable “wings,” customers can deepen their relationship with the game and the airline. 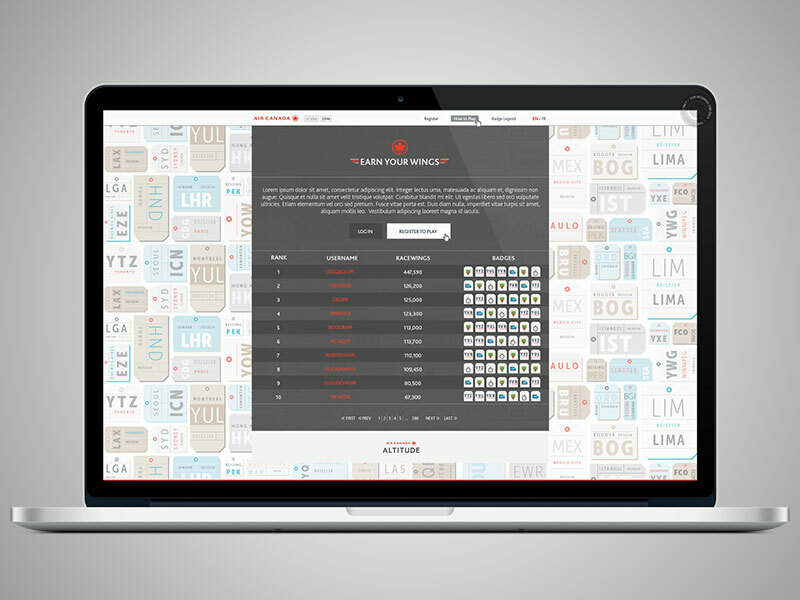 Huge buzz and positive sentiment among top players in Flyertalk, the online air passenger forum. 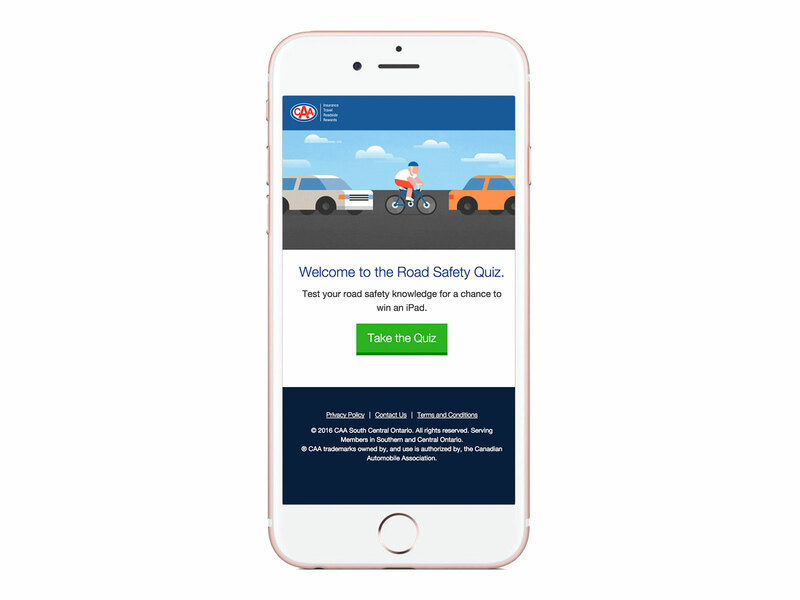 Multiple awards including a prestigious Loyalty360 Platinum award, following a Bronze in 2014 for Best Use of Technology, a Colloquy for Gamification Promotion. 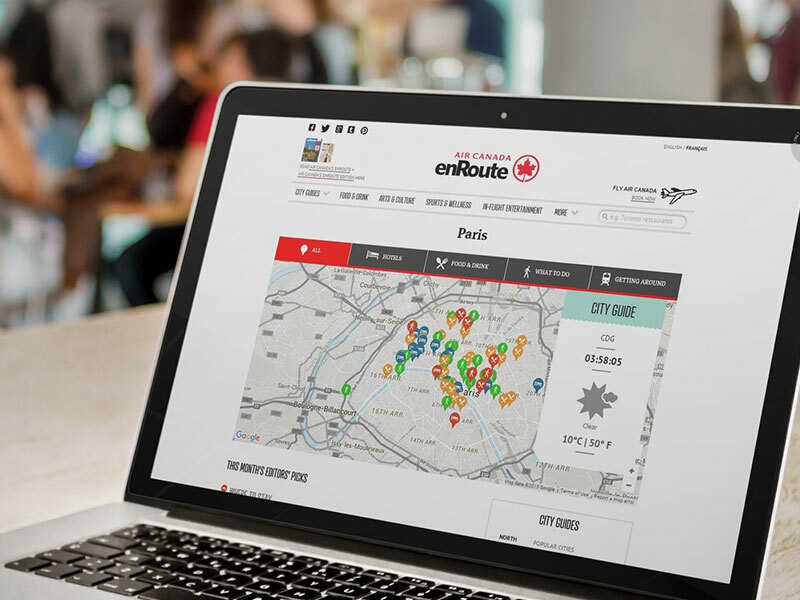 The most recent installment of Earn Your Wings saw 875% ROI, an average badges earned per user increase by 56%, and average airport visits per user increase by 12%. 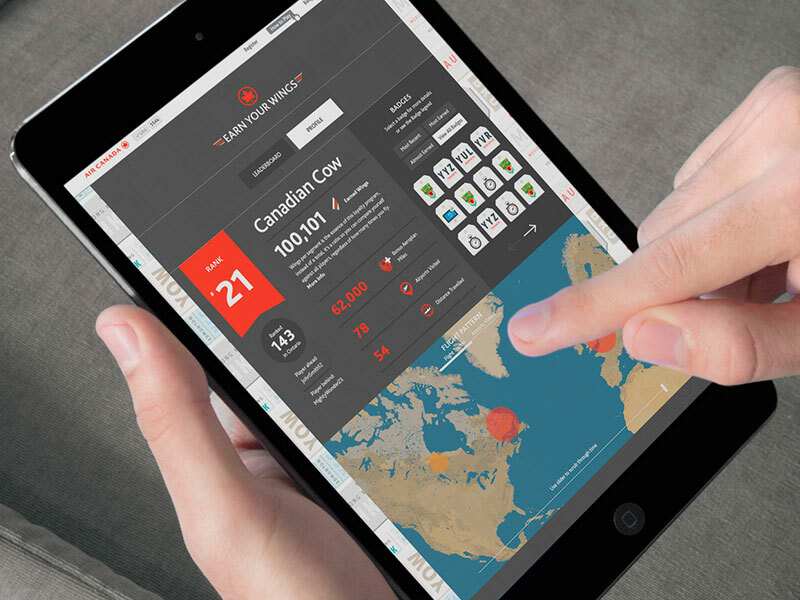 In 2014, the platform won Bronze in the same category for “Best Technology in Loyalty Marketing” category. 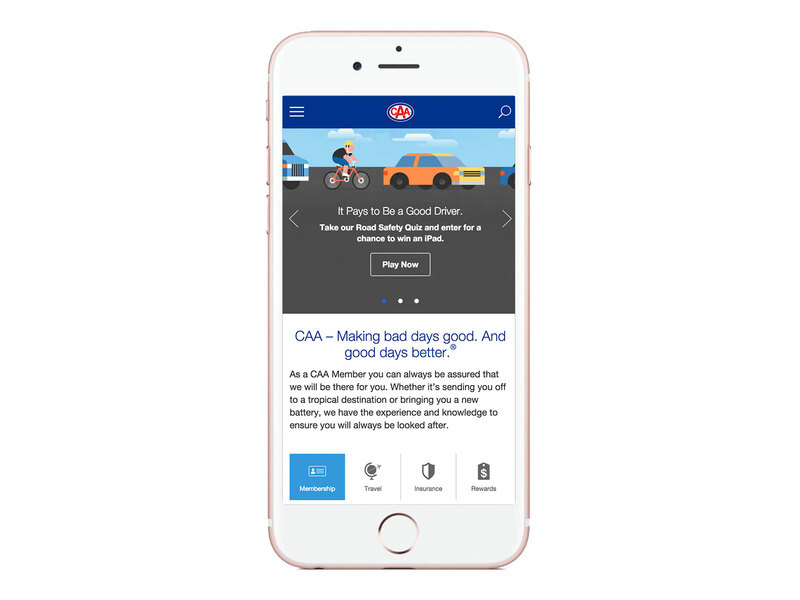 The program had 25,000 users, 44% returning from last year, and 43% of users flew in Premium Fare cabins. 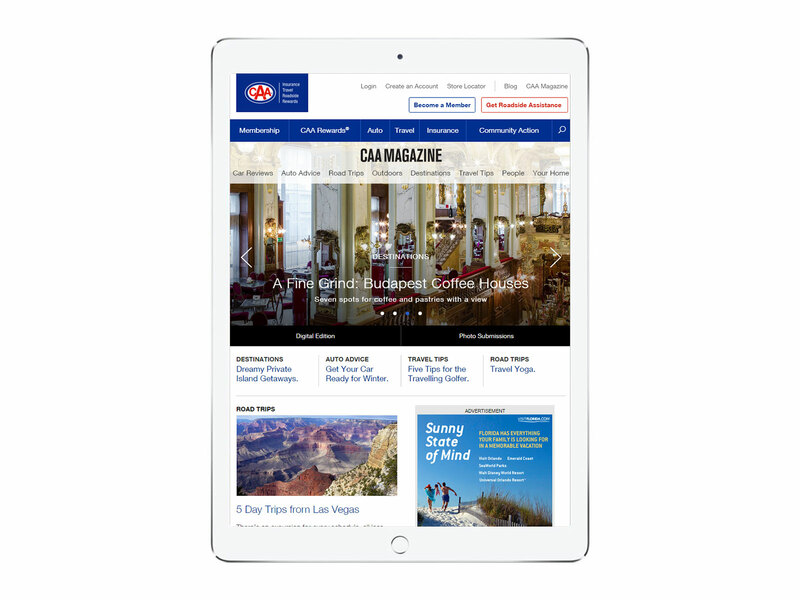 Design, build and deploy a responsive website to complement and enhance CAA Magazine, which has a circulation of 2.9 million readers. 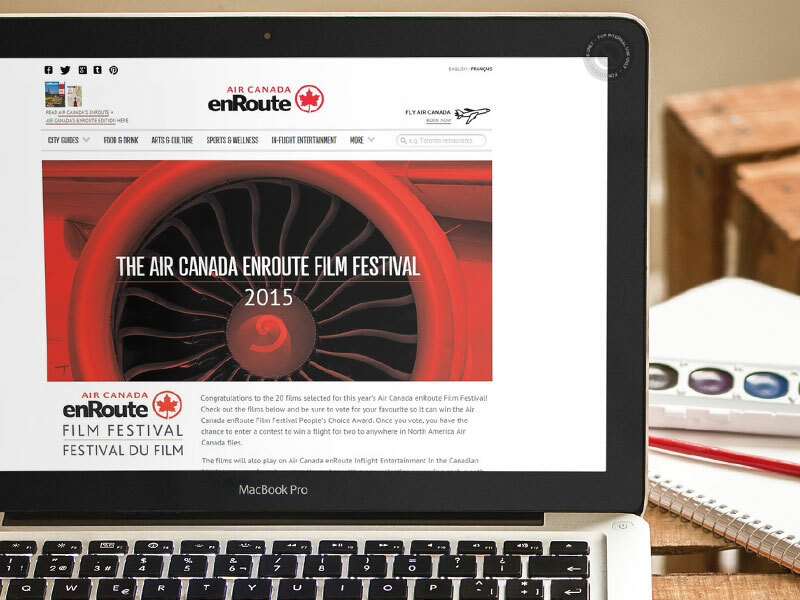 Worked closely with CAA’s technical team to integrate content and templates with their larger Member platform. 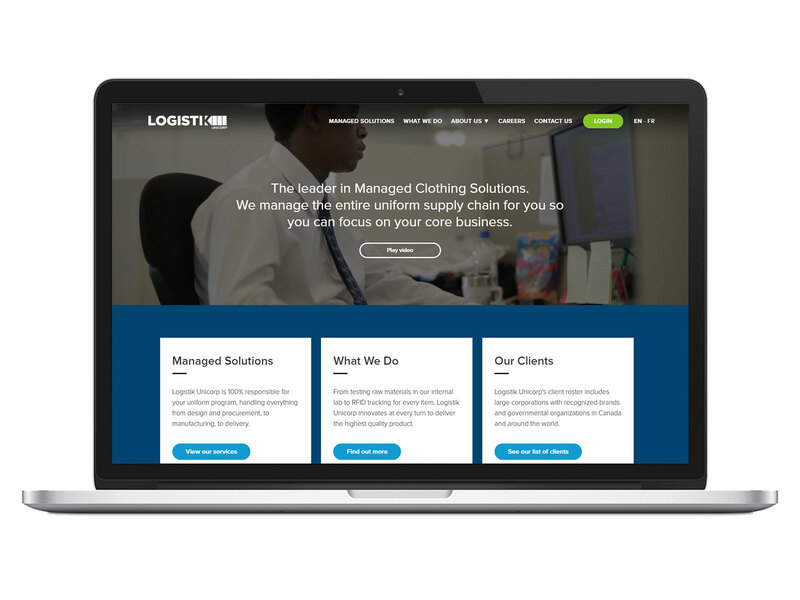 Trained staff to manage and optimize content elements. 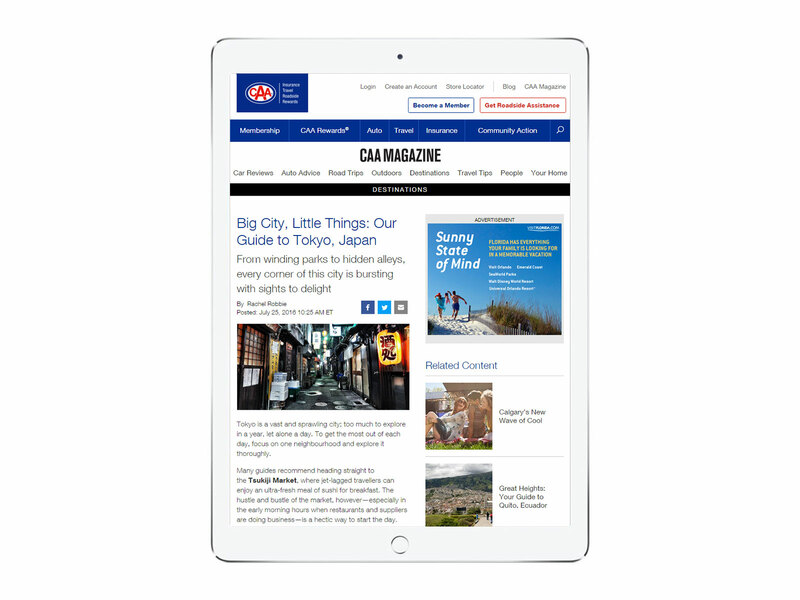 Increased opportunities for media and content opportunities as well as positive feedback from CAA Members, with steadly increasing traffic. 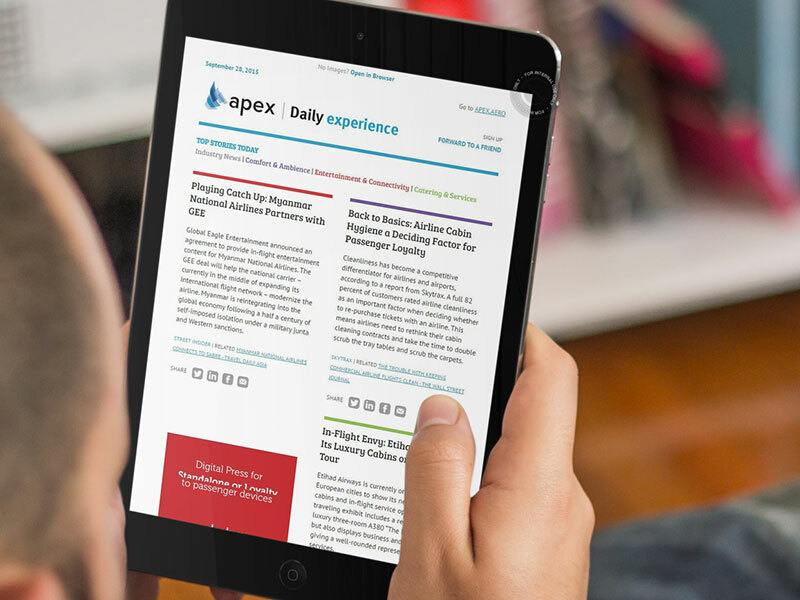 Enrich both the scope and quantity of the APEX membership’s online activity, and build a better news environment to ramp up for increased frequency. 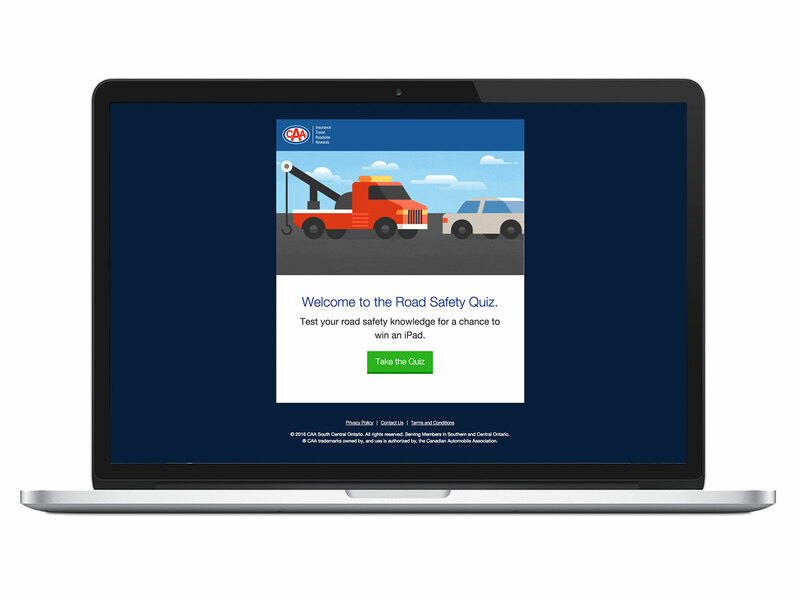 A complete redesign of both the front and back-end of the association website to both better present more shareable content and streamline all of the association’s membership activity. 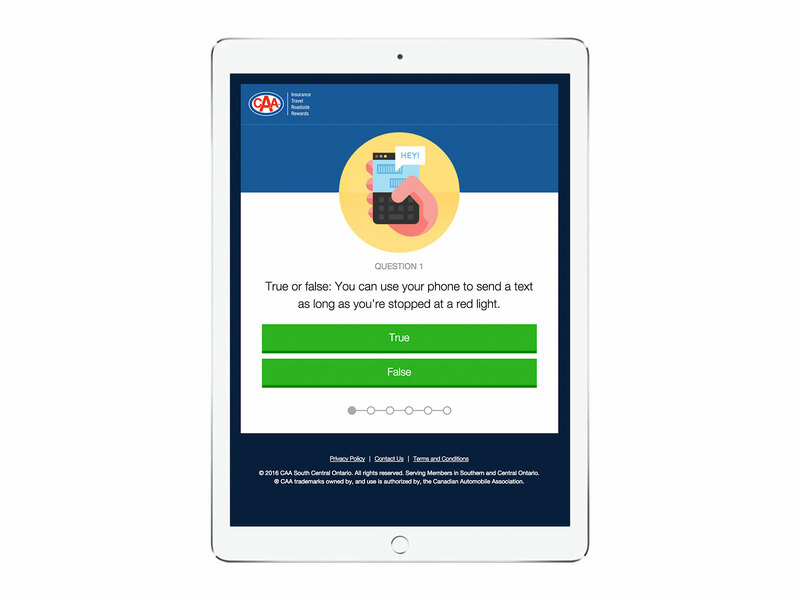 An email deployment platform was later integrated to efficiently create and deploy daily email newsletters to the members around the globe. 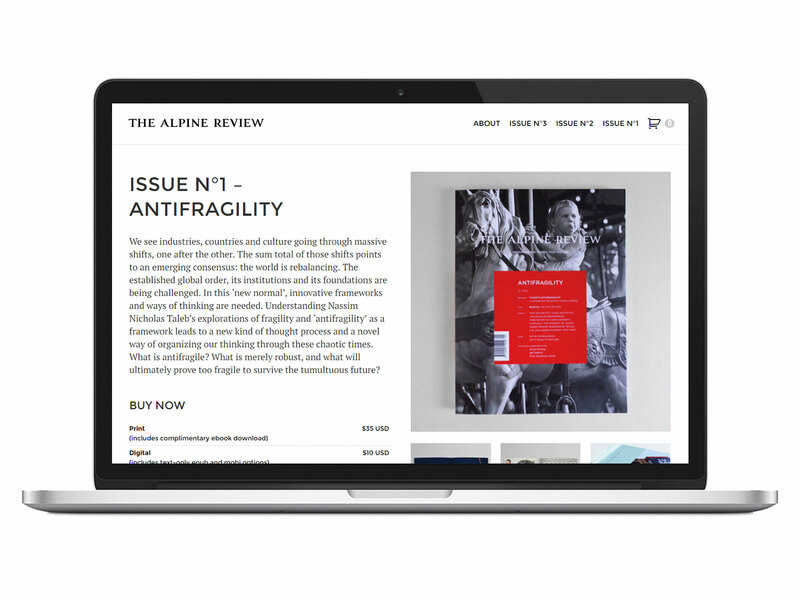 Positive feedback from the association, with a revitalisation of the APEX brand and a truly digital complement to the printed magazine. 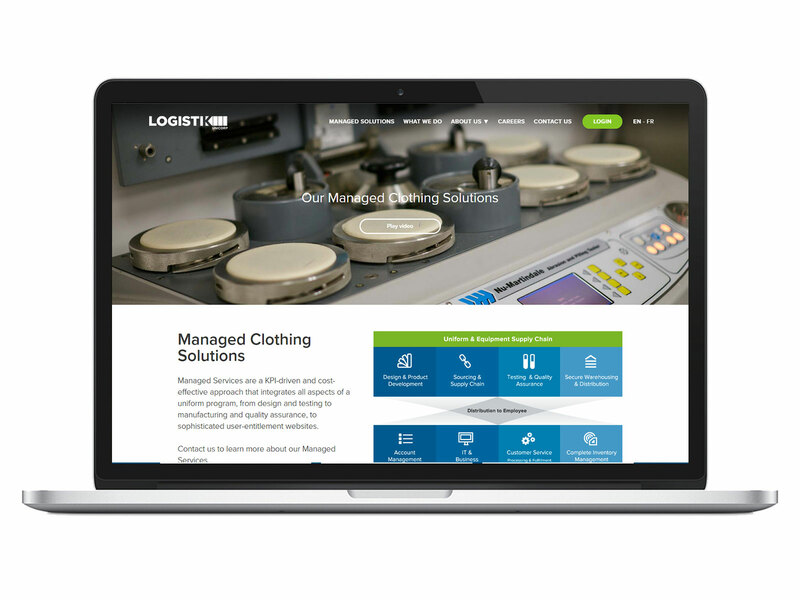 The website serves as a membership hub with improved member search, profile management and a dedicated industry news section. 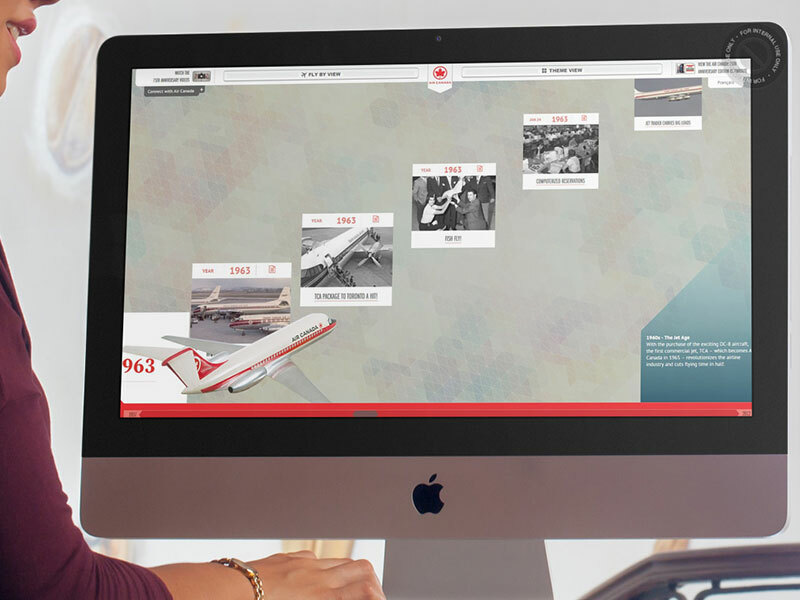 As part of a multiplatform strategy to mark the 75th anniversary of Air Canada, create a special website that archived the history of the airline. 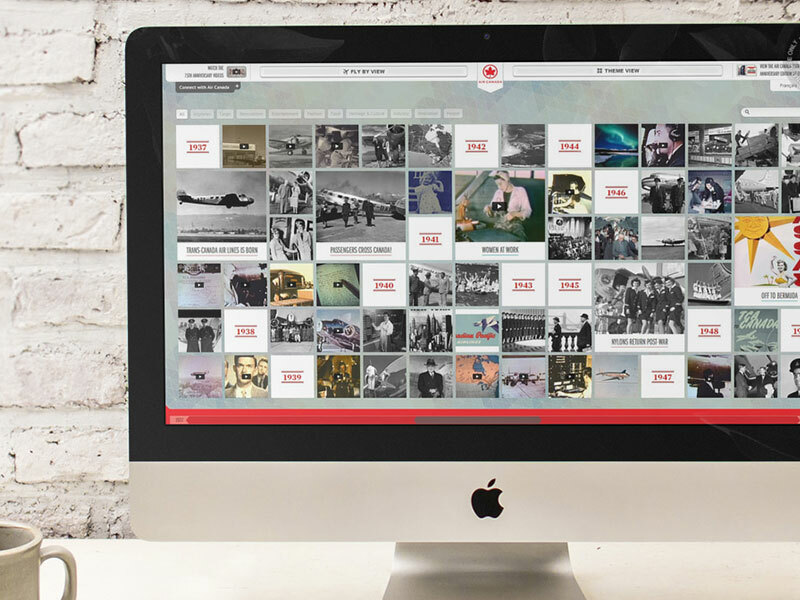 Using countless We created a special 75th anniversary microsite that used images and video to create a timeline, celebrating the events and milestones in the company’s long history. 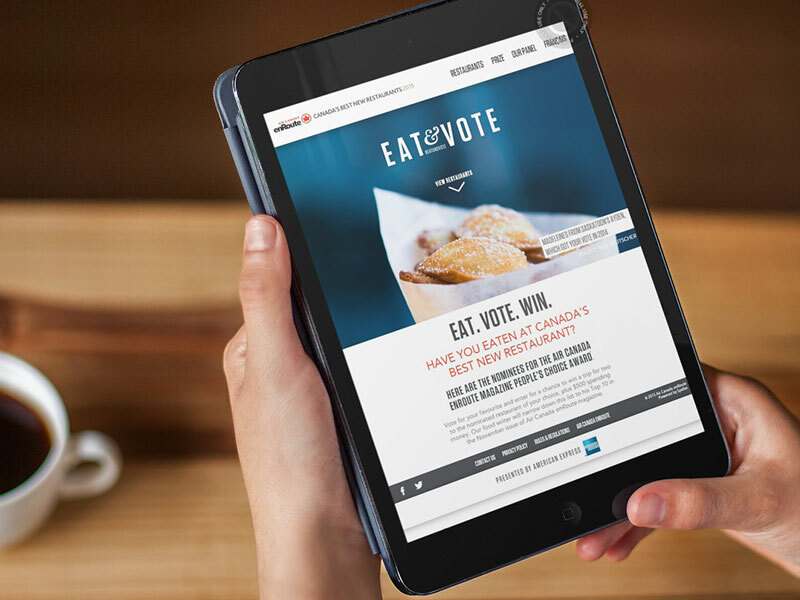 Only a month after its launch, the site received over 135,000 visits from over 105,000 unique visitors, resulting in a 300% increase in Facebook likes and a Webby nomination for Best Integrated Campaign. 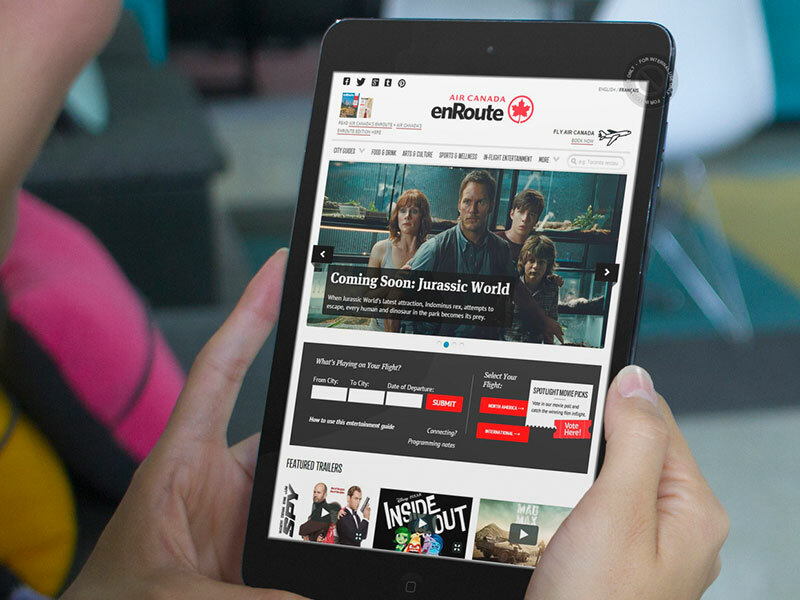 To bring the Air Canada Media content universe online and further inspire travel and engagement with the brand. 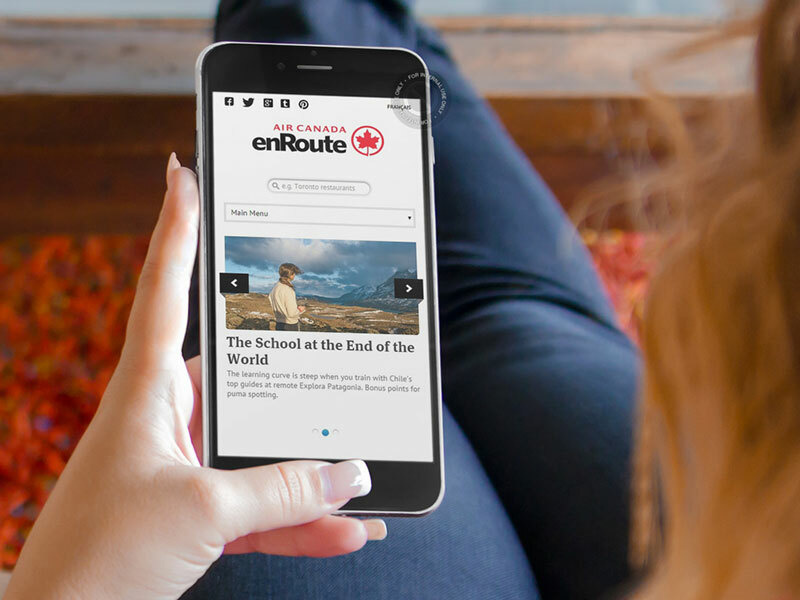 Serve as a home for enRoute’s other editorial initiatives like Canada’s Best New Restaurants and the enRoute Film Festival, and allow users to search for their entertainment before they get on the plane. 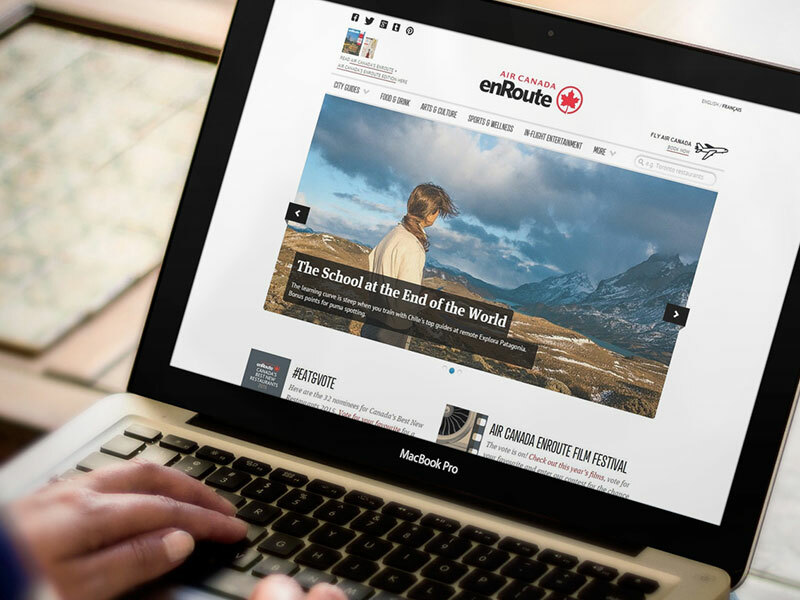 I’ve been involved in more than three iterations of the enRoute website, each with its own objectives and challenges. 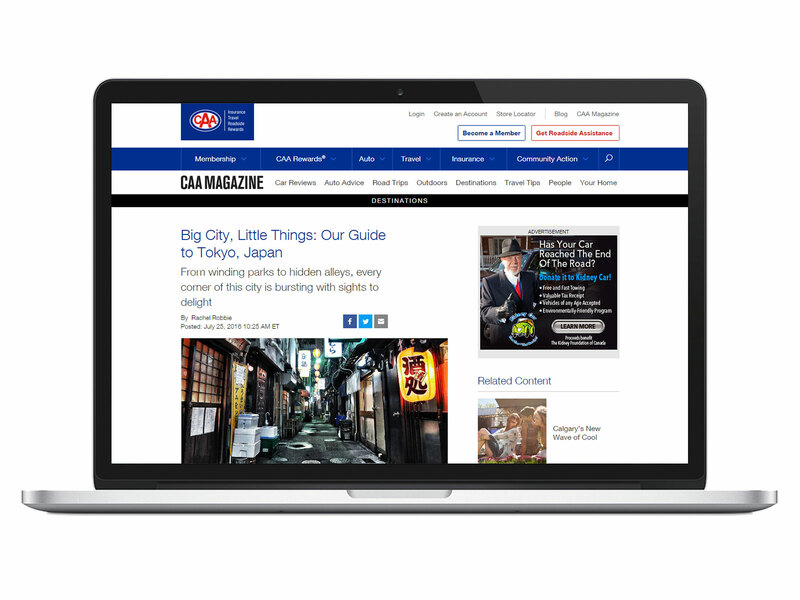 In its latest, and most successful iteration, the focus is on cities; the places to eat and stay, as well as the activities. 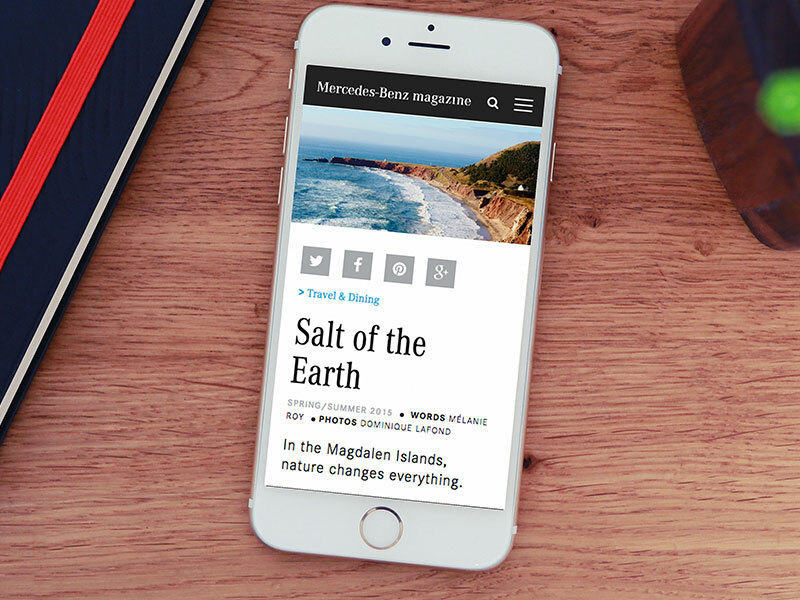 A clean and mobile-friendly reading experience was also important, and multiple templates to present different kinds of content, from long-form travel stories to photo essays. 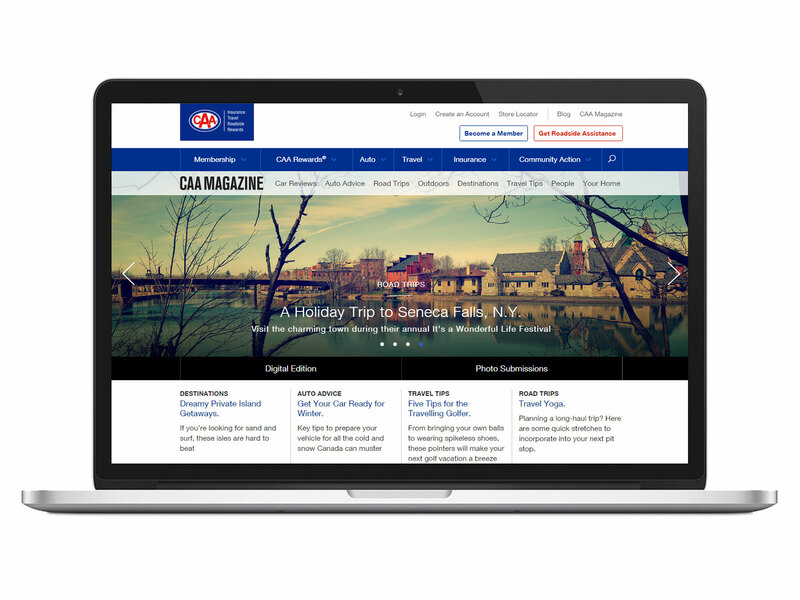 The site has won many awards, including a huge showing at the 2013 Folio awards for Grand Prize, Best Custom Content Website; Gold, Best Website; and Gold, Best Overall Web Design. Clean type, dirty words. The etymology of expletives. 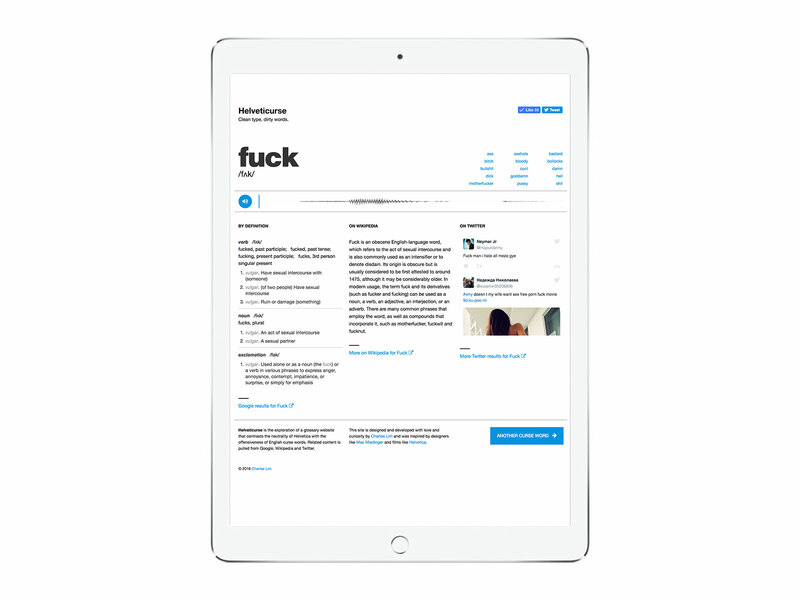 This is a side project that I had always wanted to create: a dirty glossary. I also find it interesting what vulgar words actually mean, and how they're used in daily conversation. 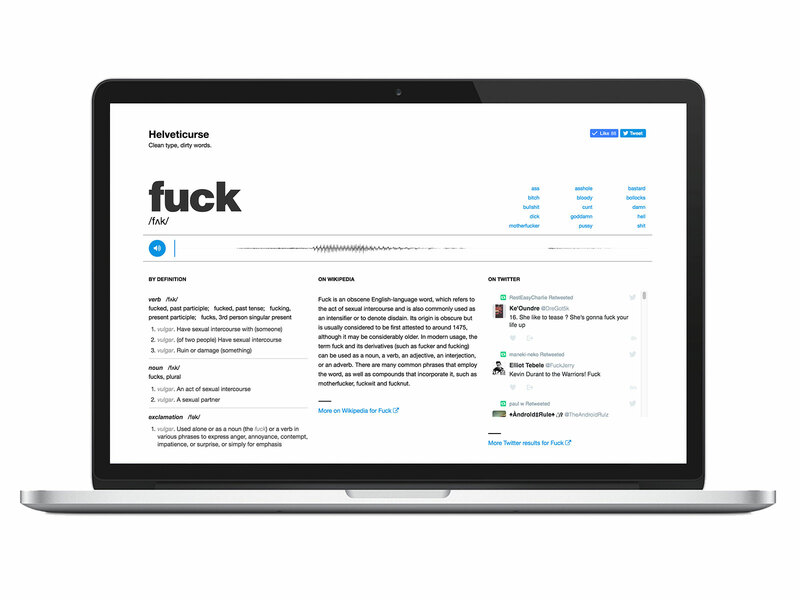 Helveticurse is the exploration of a glossary website that contrasts the neutrality of Helvetica with the offensiveness of English curse words. 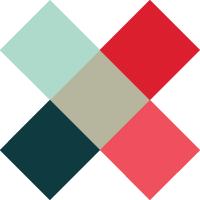 Related content is pulled from Google, Wikipedia and Twitter. 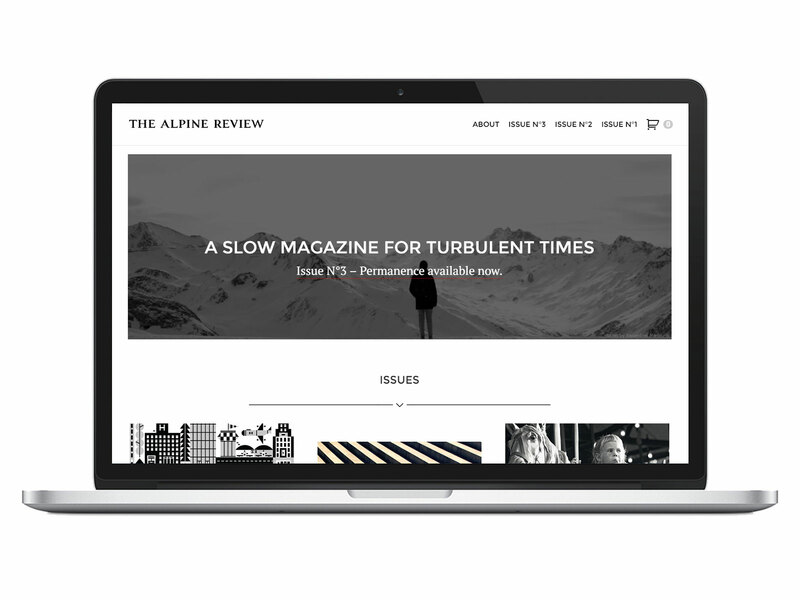 This site was inspired by designers like Max Miedinger and films like Helvetica. 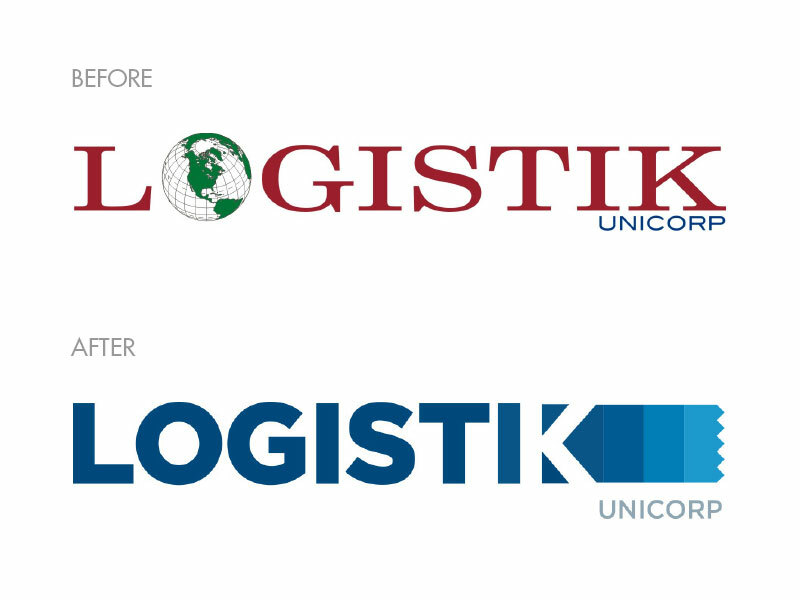 Corporate Branding and Web Design. 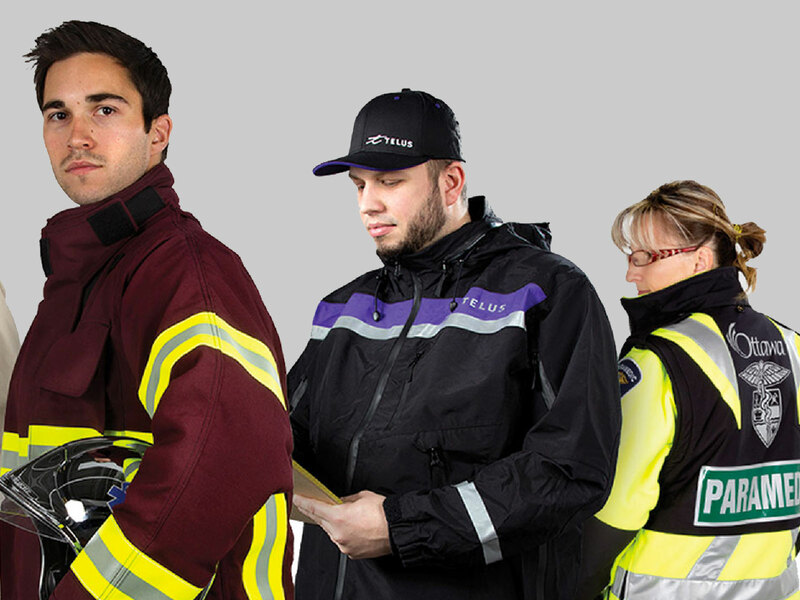 I led the rebranding of one of Canada’s largest uniform suppliers, which is also a family-owned business. 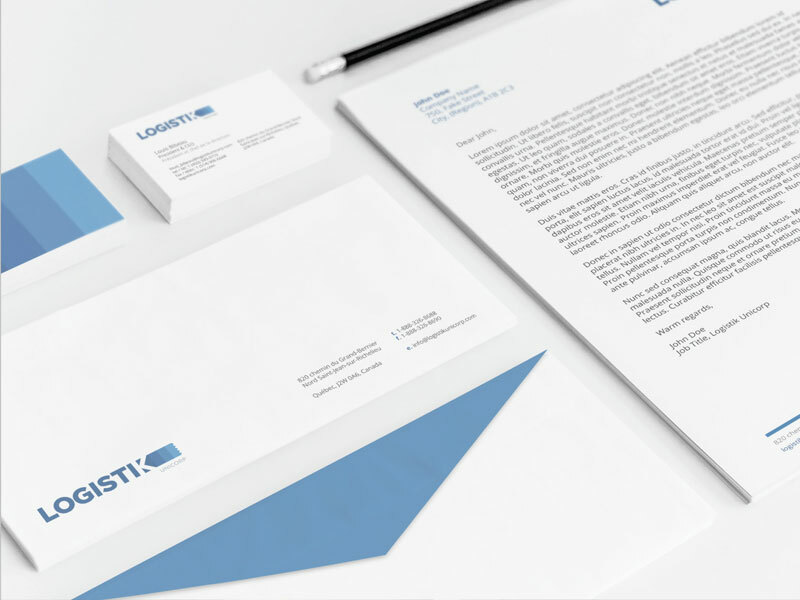 It included brand identity guidelines, stationery templates and marketing material, as well as a responsive website. 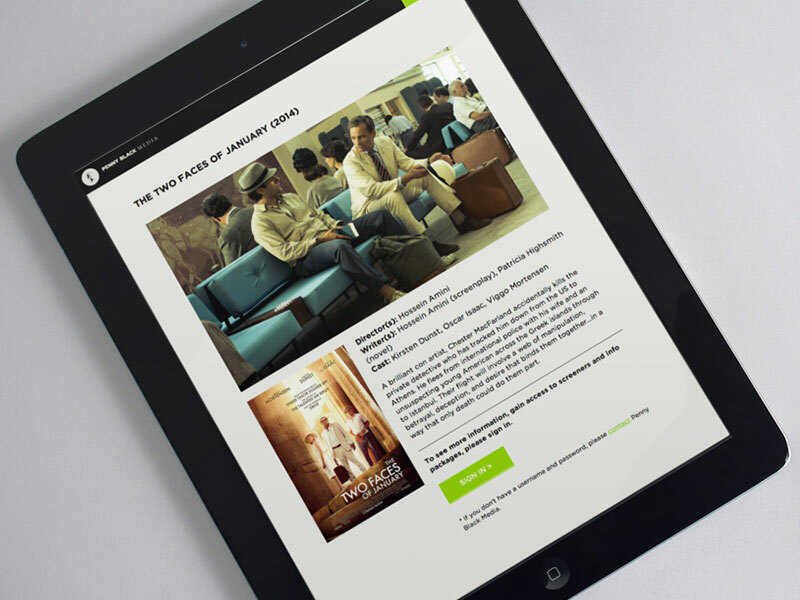 Redesign Filmbank’s website to better reflect their rebranding and improve their customers’ experience. We held a workshop in London with the company stakeholders to analyse the customers’ check-out flow and identify the pain points. 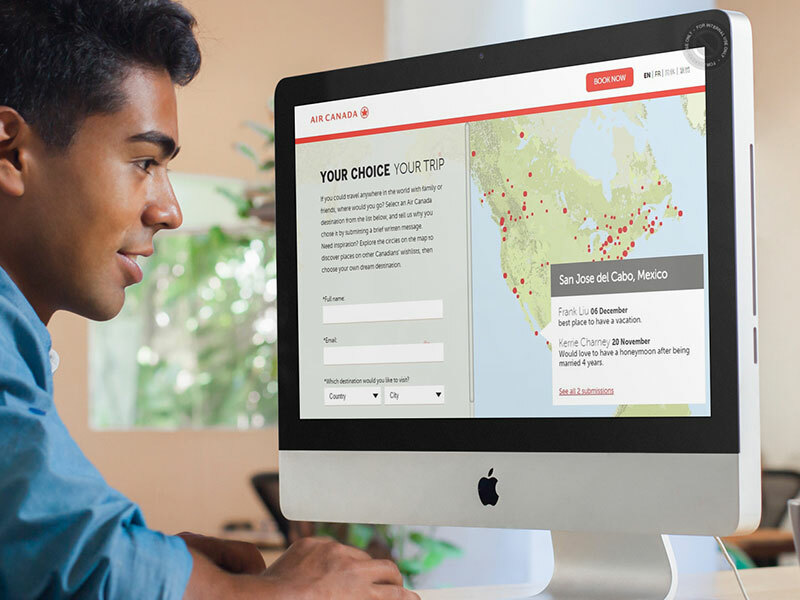 We performed a K-J experience to identify their most valuable customers and their needs. 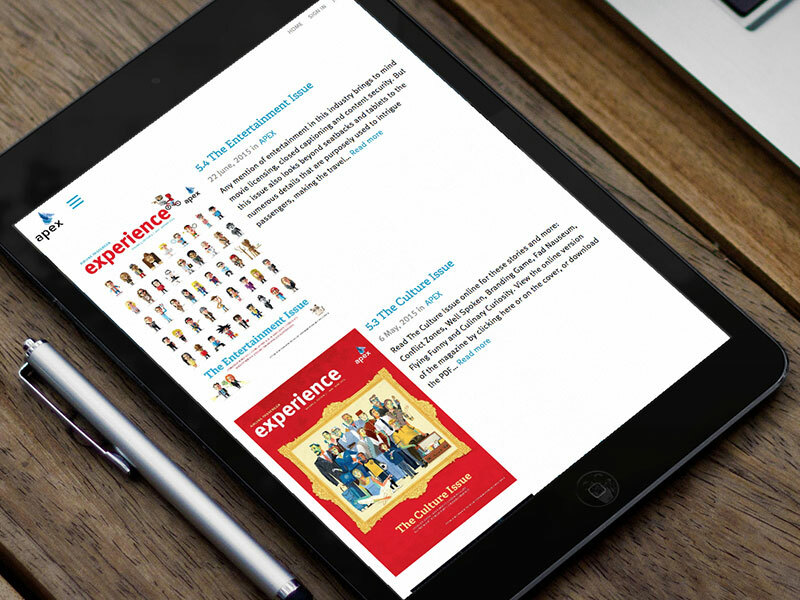 From there we built userpaths for each of their customer types and the company’s visual sensibilities. 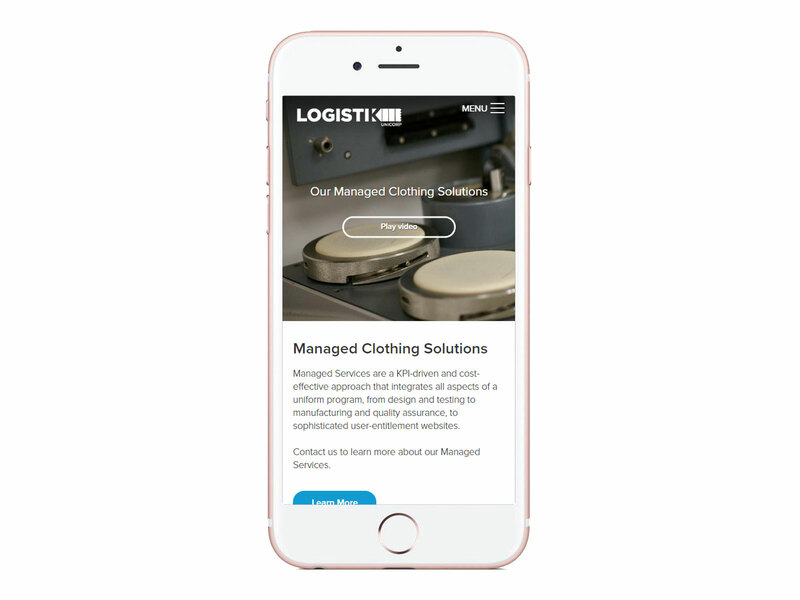 Great feedback from the client and a modern, responsive website that better serves their customers and improves their interaction with the business. 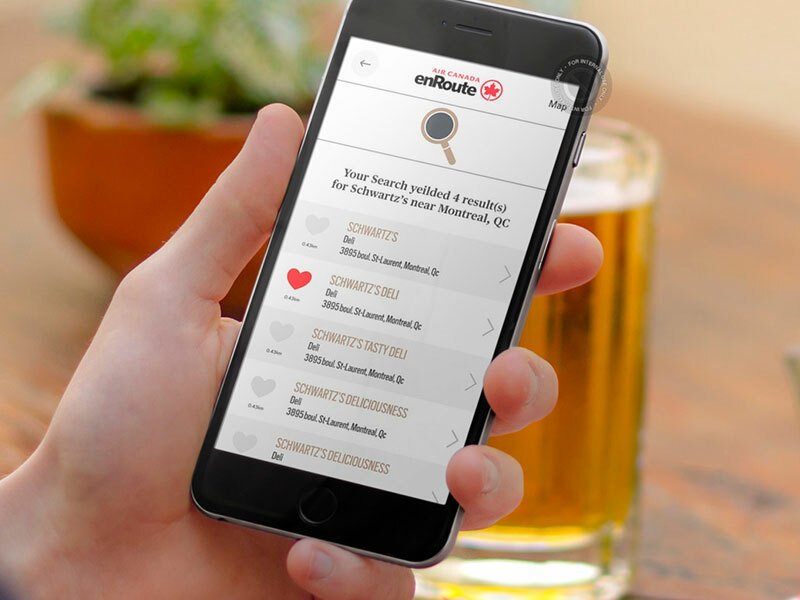 Partnering with Molson Coors brand Rickard’s and Air Canada’s enRoute magazine, create the digital piece to a multi-platform campaign aimed at finding Canada’s favourite bar. 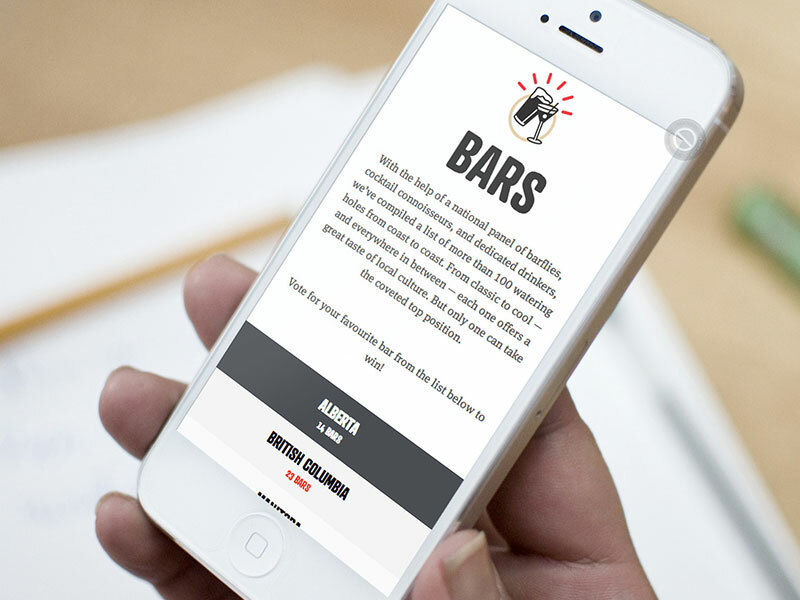 My team designed and developed the website to allow users to vote for their favourite bar on a Google map, and introduced features like the “bar-o-meter” to measure west coast vs. east coast bars. 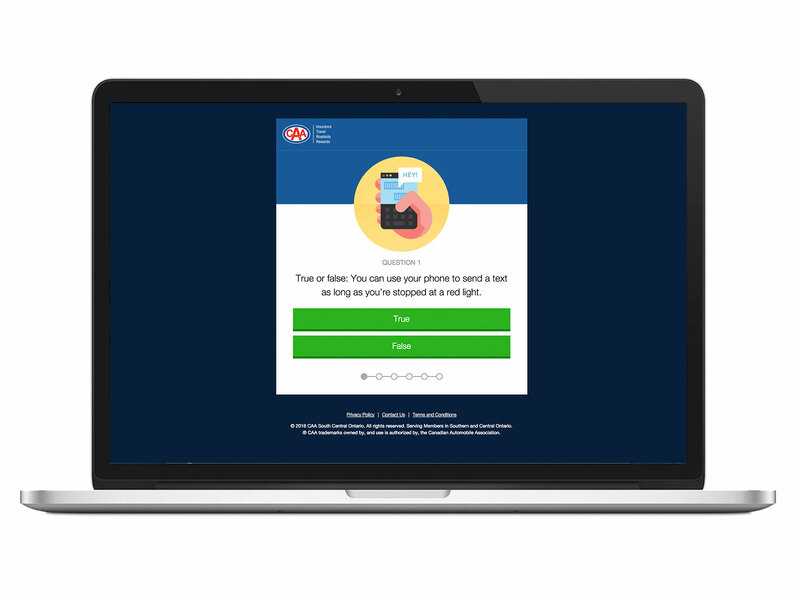 We leveraged the facebook and twitter APIs to authenticate users, and tracked votes across 100 unique places. 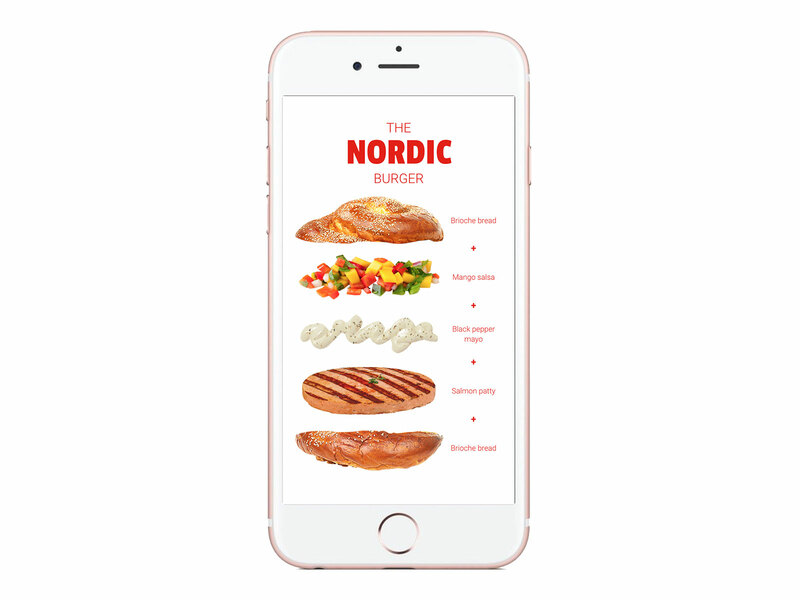 A large influx of traffic and social media buzz in local markets. 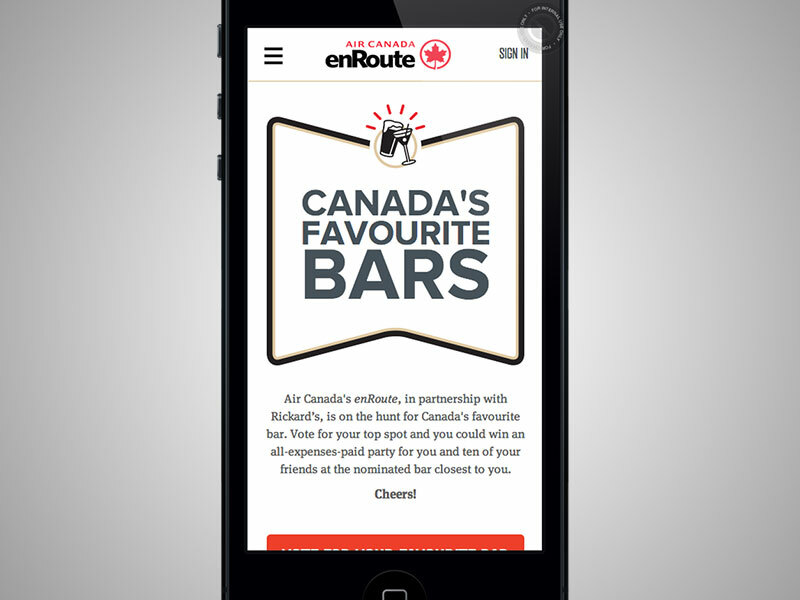 15 of the bars were then featured in an issue of enRoute, which has a circulation of over a million people. 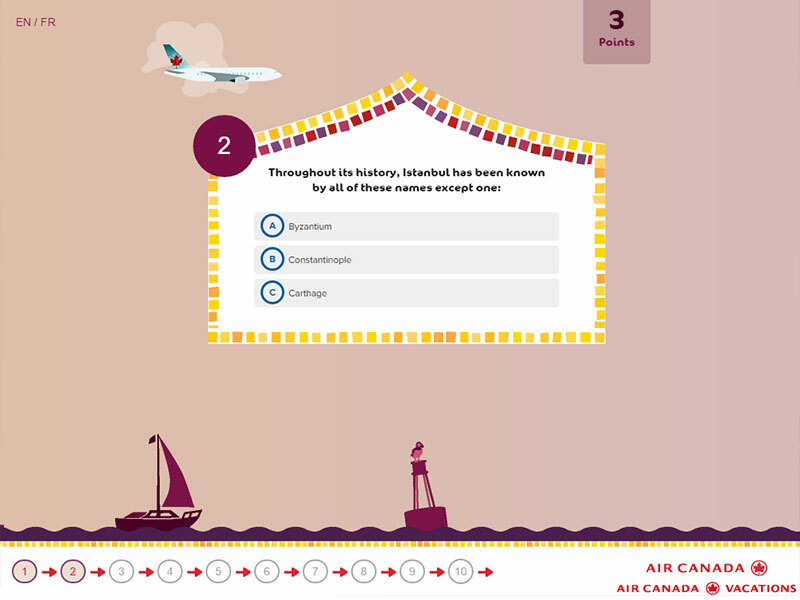 Feature Air Canada’s new route to Istanbul in a fun, engaging way. 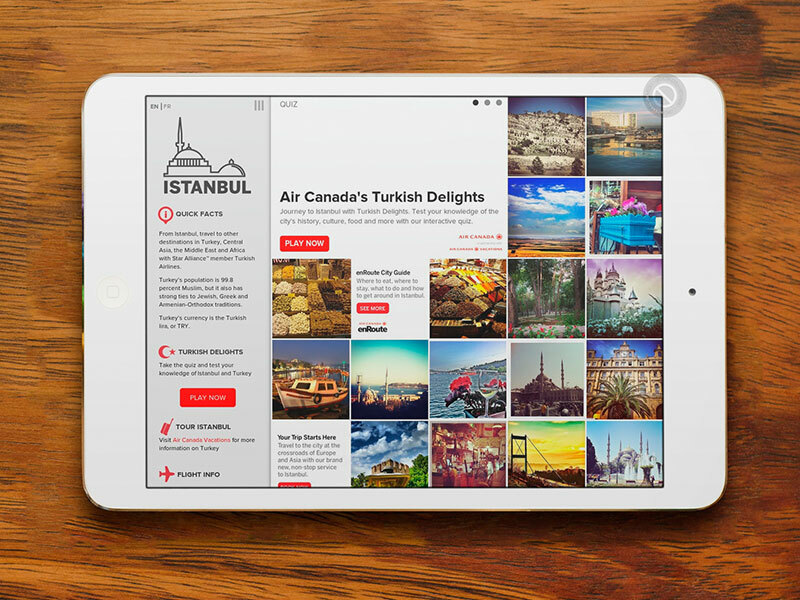 To highlight Istanbul’s rich history and beautiful vistas, Spafax developed a destination microsite comprised of geo-targeted instagram photos, facts and trivia about Istanbul and Turkey. 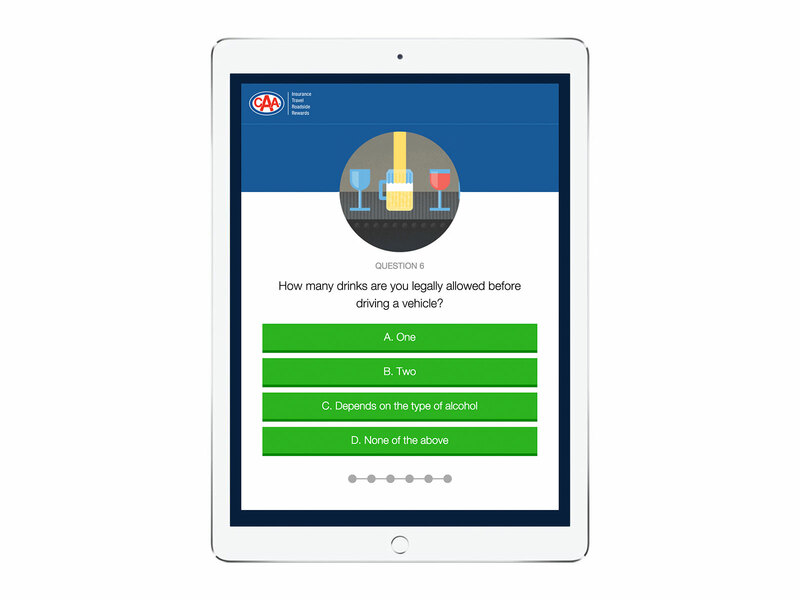 A quiz game was also built to complement the destination, where users could win a trip to Turkey based on how well they did (and if they share). 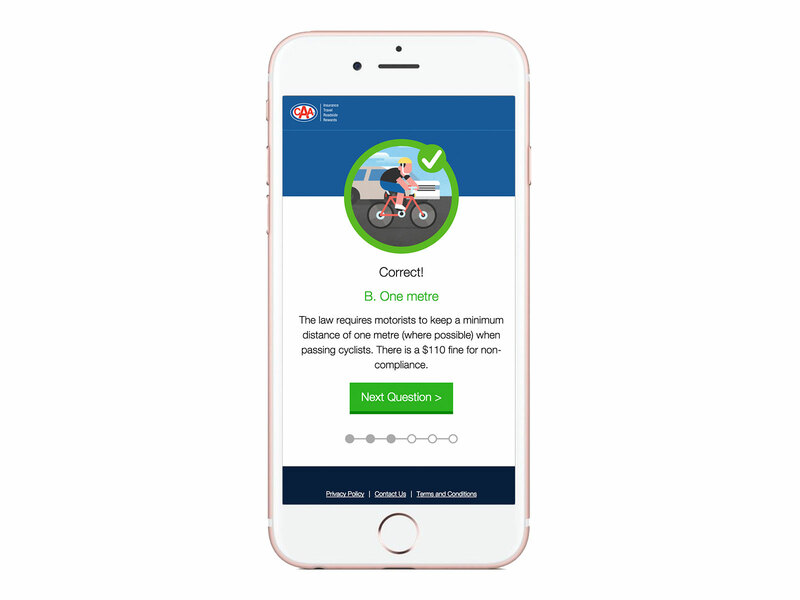 The client was ecstatic with the results, and the response from users was positive. 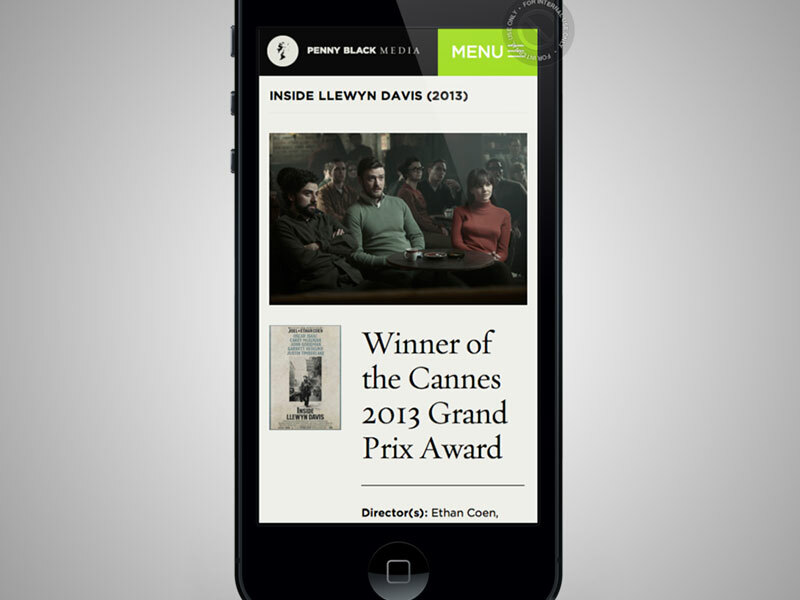 The campaign took home Gold for Best Overall Web Design at the 2013 Pearl Awards. 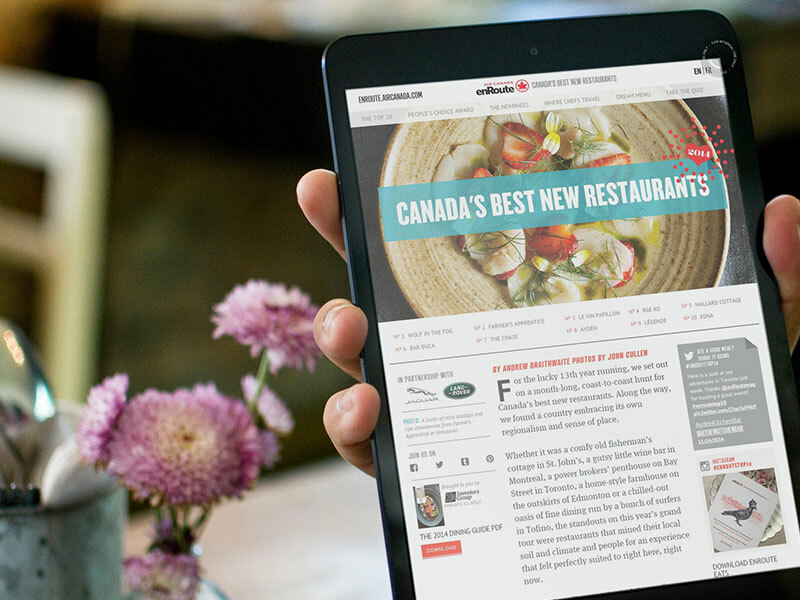 Invite Canadians from coast to coast to vote for their favourite new restaurant from a list of nominees, curated by an expert panel of respected regional critics, producers and food industry insiders. 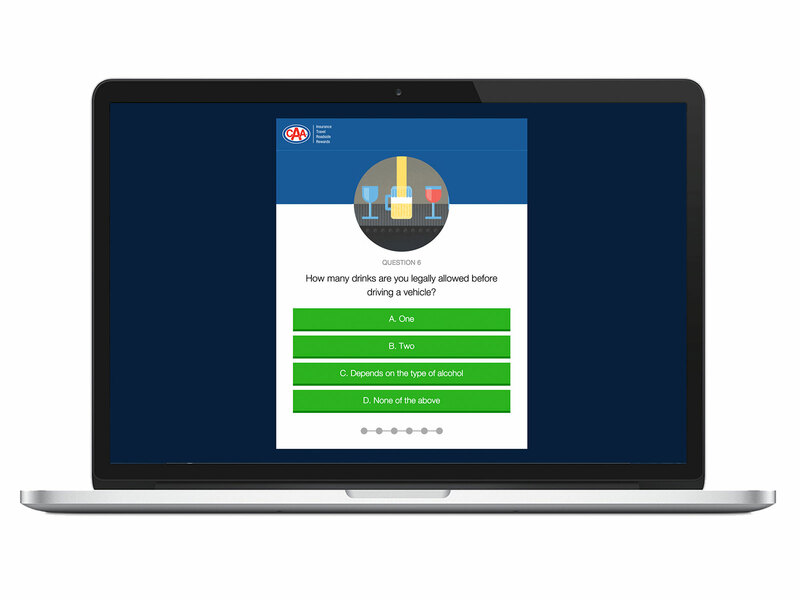 We designed and built a microsite to funnel users into our voting flow, and made changes to our design based on the ongoing data. 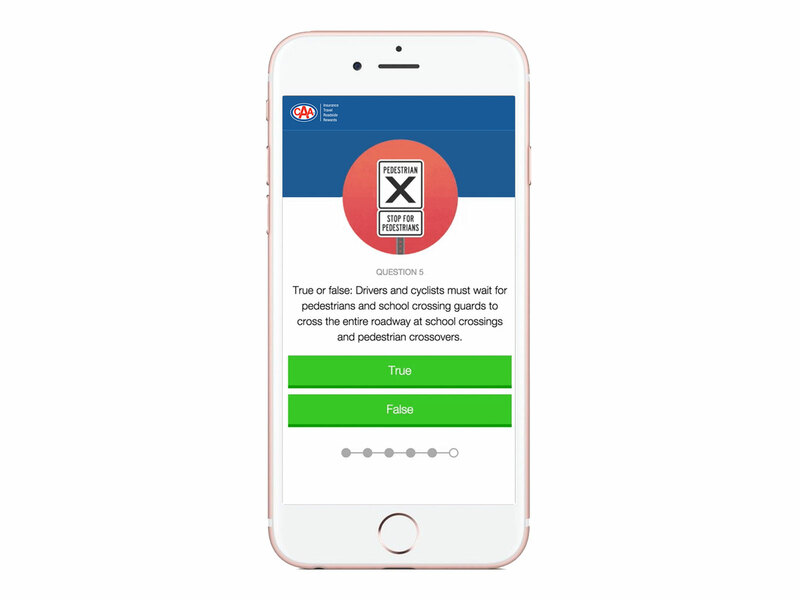 Building on our past efforts, we strove to make the voting mechanism even more efficient by making the call to actions stronger and the authentication with Facebook and Twitter APIs faster. More than 75,000 votes, increasing by 40% year-over-year for the past three years. 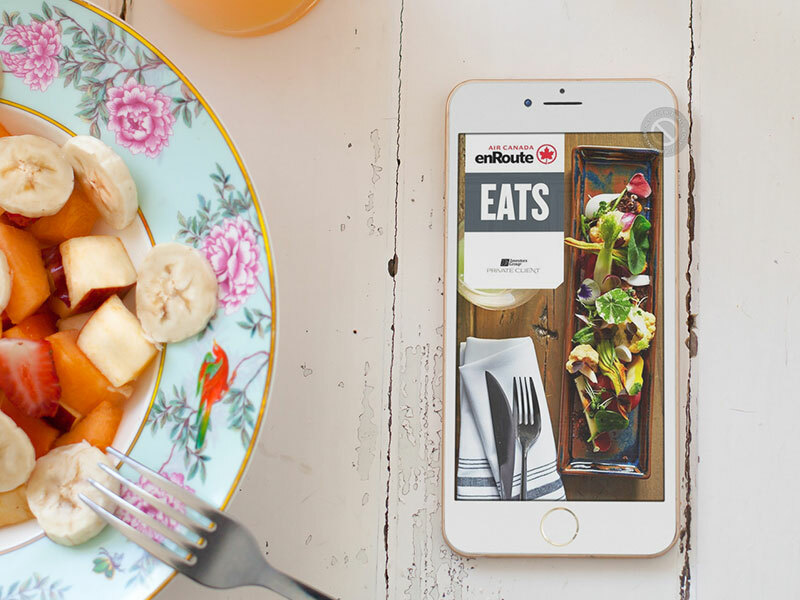 Great social media buzz, with restaurant owners and fans engaging with each other online. 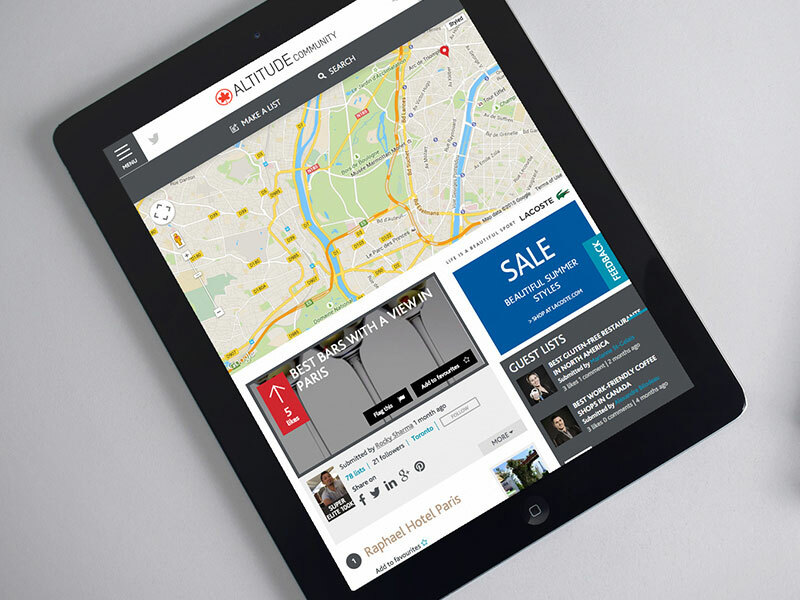 6.23 pages viewed per visit, over two minutes time on site. 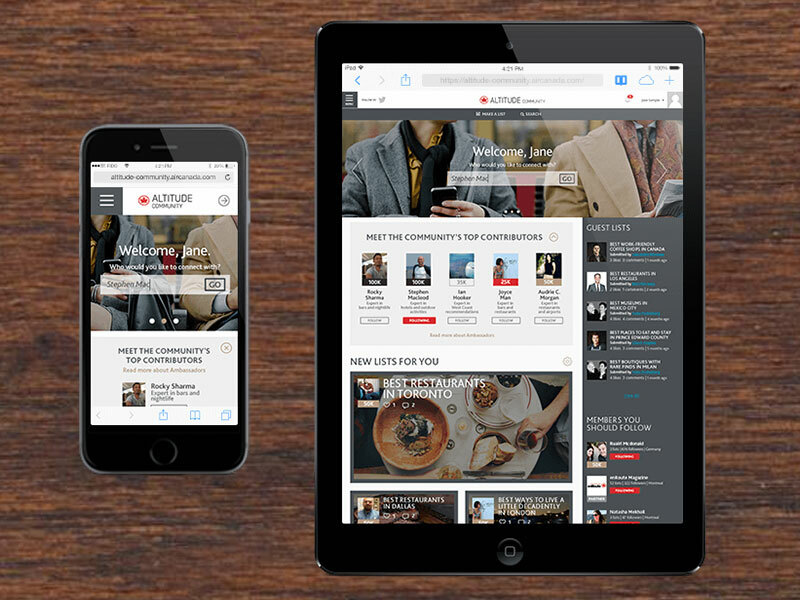 Design and build a brand new website to kick-off an era of prosperity for Penny Black Media. 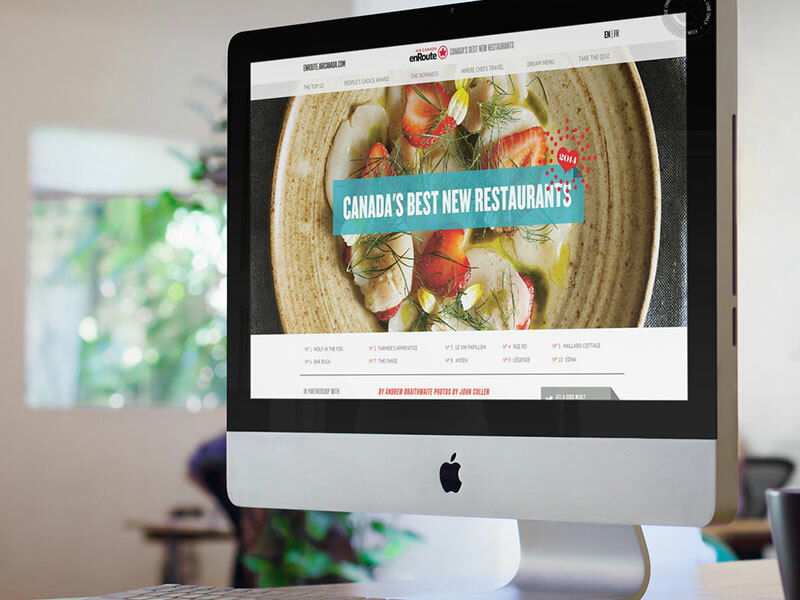 Create a modern, boutique website for Penny Black Media’s customers. 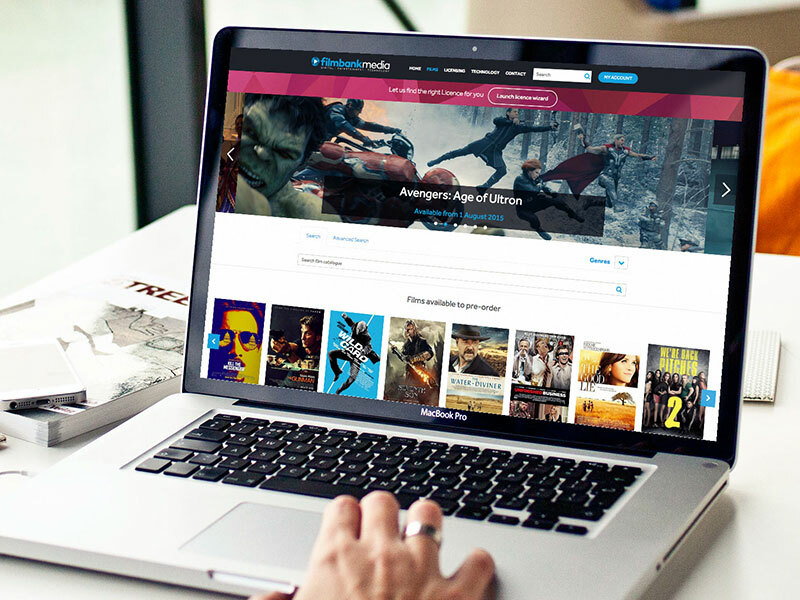 A simple, but powerful interface that gains users trust and allows users to securely screen and review films via password. The client was delighted with the result, and their customers found it very easy to find films in the ever-growing catalog. 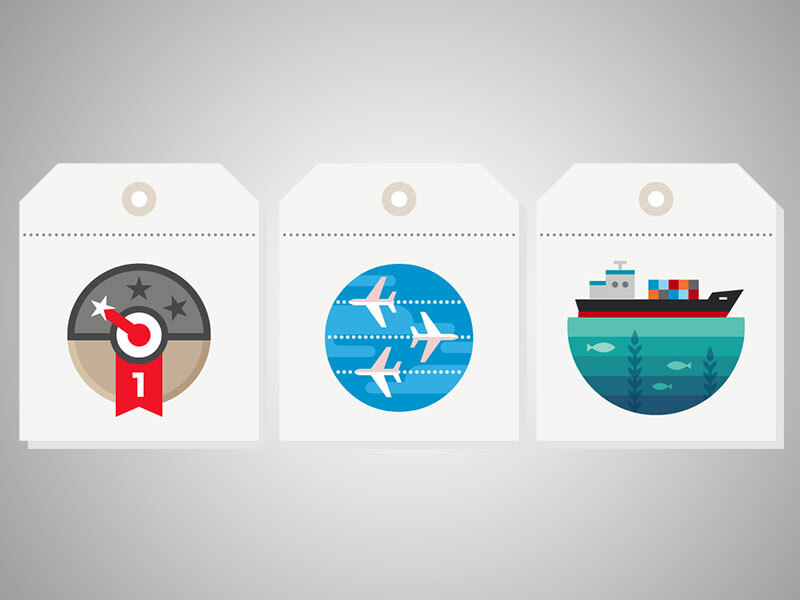 Good stories of those living abroad. 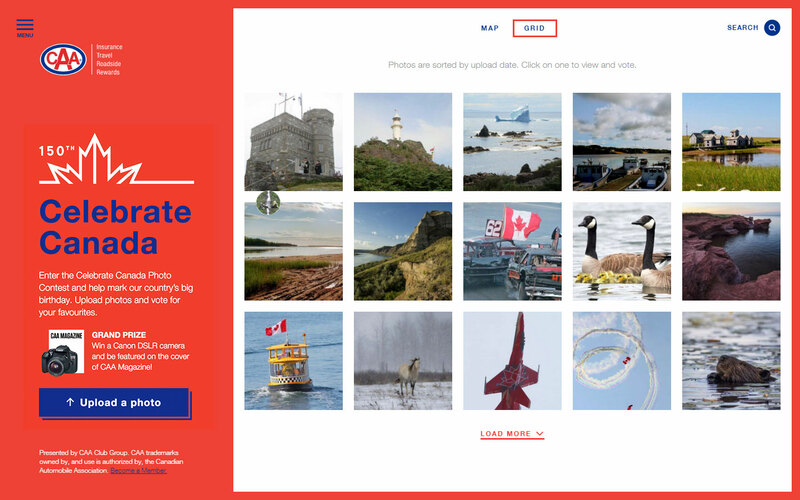 Evoke Canadian pride in celebration of Canada Day and promote Air Canada as Canada’s national airline by featuring Canadian destinations. 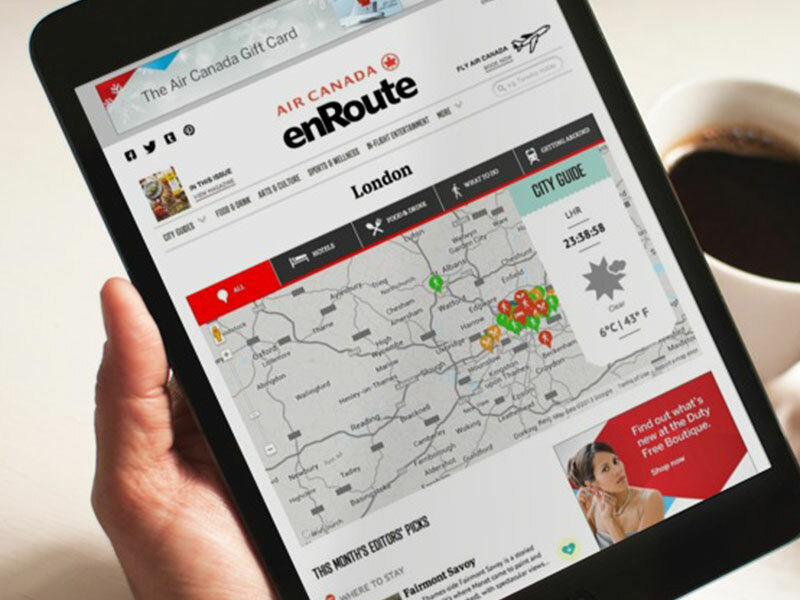 An interactive social sharing experience that provided insight into Air Canada’s clientele by allowing users to explore Air Canada’s destinations. 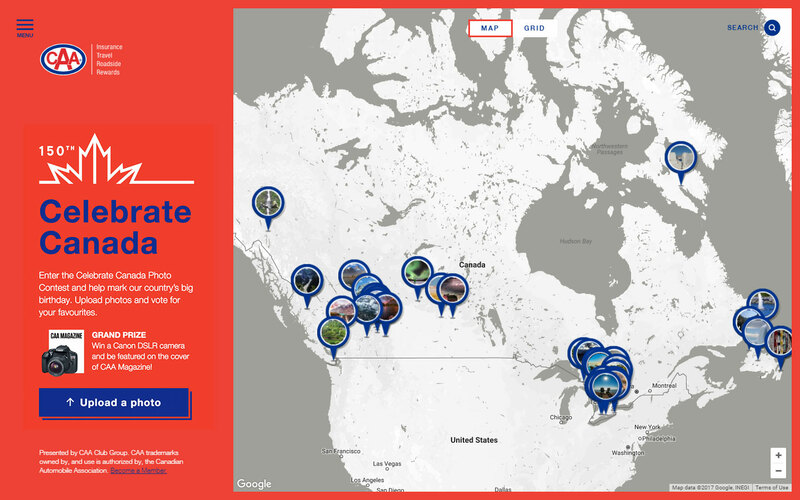 Present users with an interactive map of Canada and prompt them to select their desired destination and their reason for wanting to travel there. 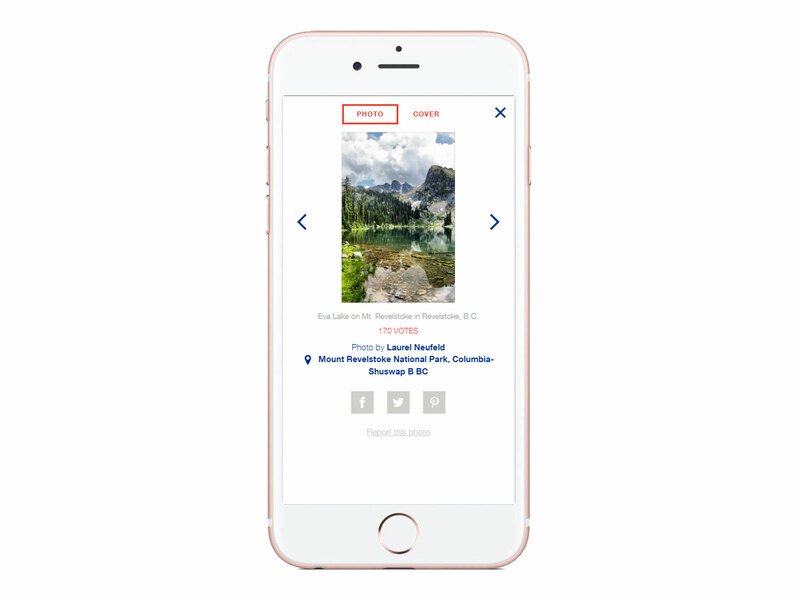 Users could view other submissions and learn about highlights of new places from each other. The overall experience was inspirational, collaborative, and educational. 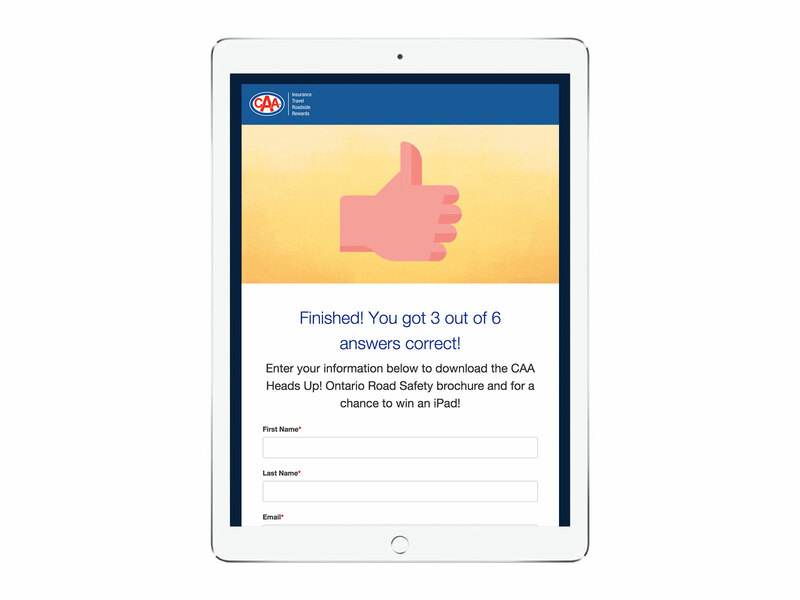 60% of visitors submitted a response. 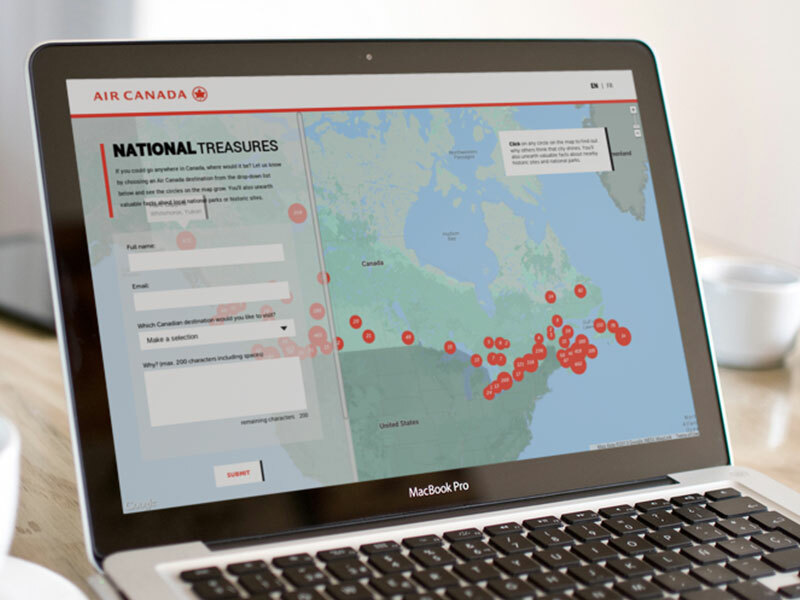 The most popular words used in the responses were “love,” “visit” and “Canada.” The site won Bronze for both Best Interactive Content and Best Web Design at the 2013 Pearl Awards. 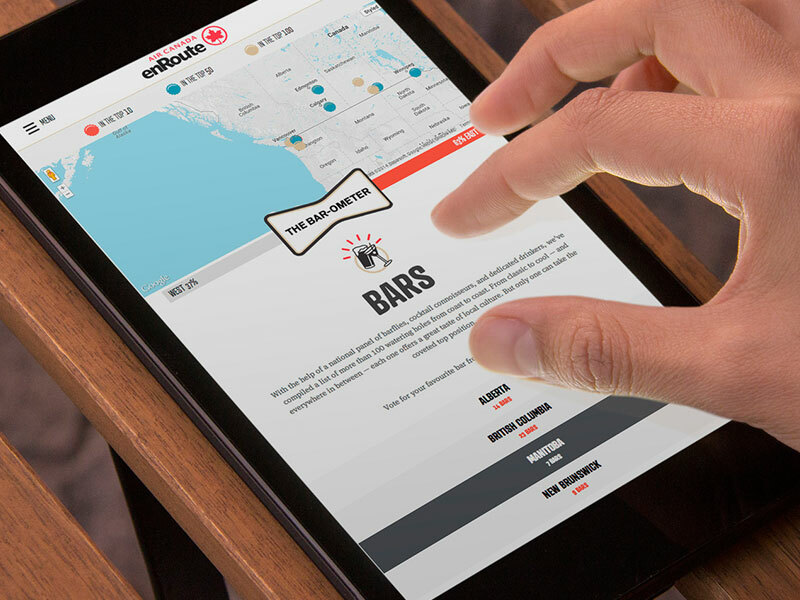 It was so successful that we reused the codebase for another Air Canada campaign, but centered around Asian Canadian users, titled Your Choice, Your Trip, which was shortlisted for a 2015 Marketing Award. 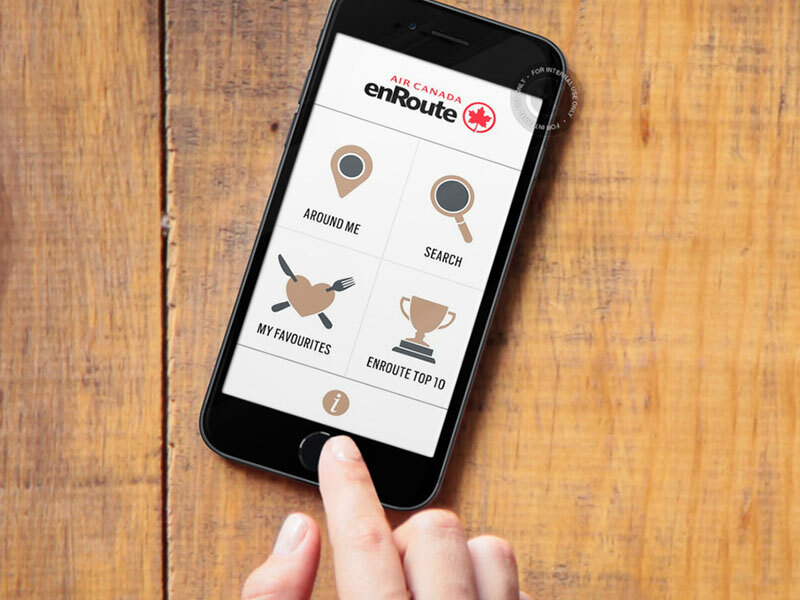 Create a guide to the top restaurants in Canada, with 250 listings curated by the editors of Air Canada’s enRoute magazine for the past 12 years. 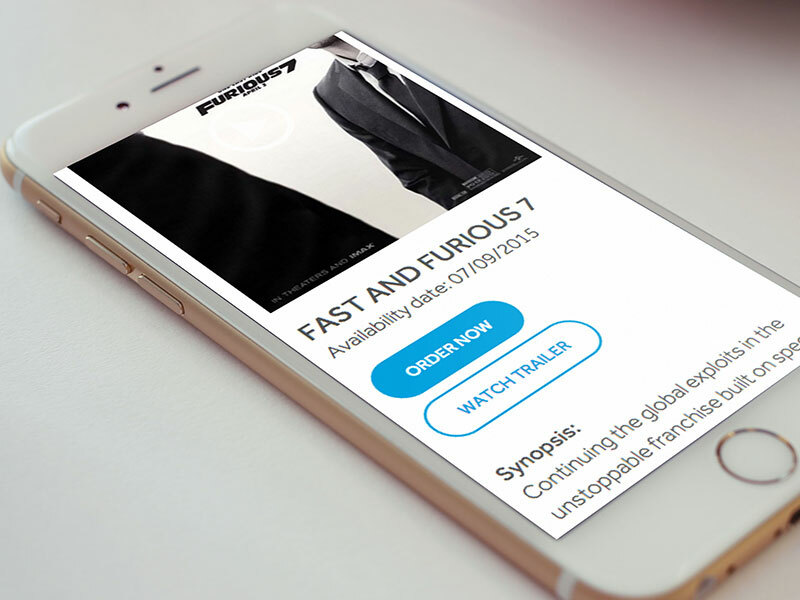 A continuously updated interface to scale across the ever fragmented iOS devices. 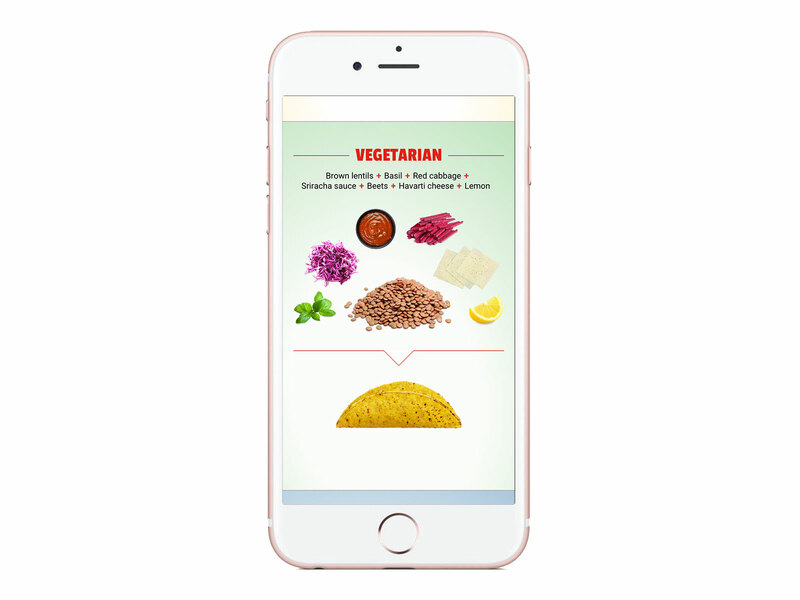 It features detailed listings and a fast and easy navigation to search by cuisine, location or dish. You can also share and save your favourites. 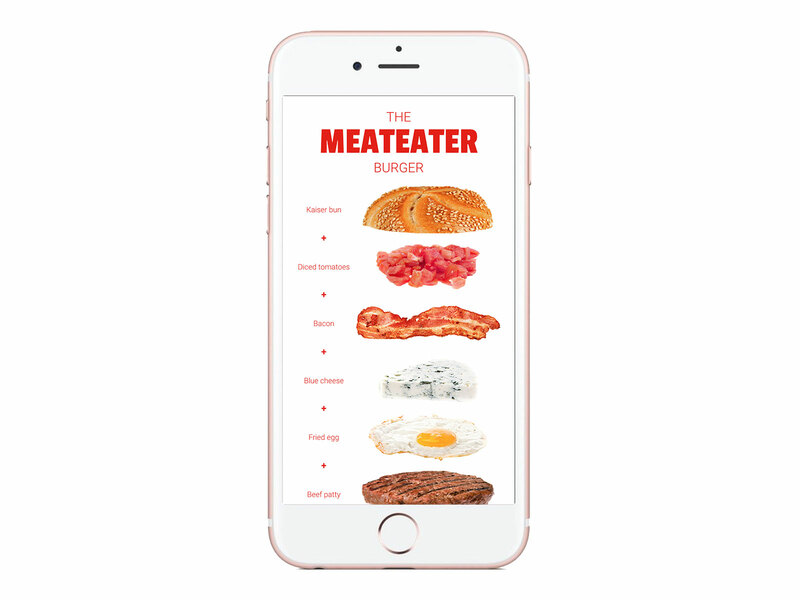 Has a 4.5 star rating on the App Store. 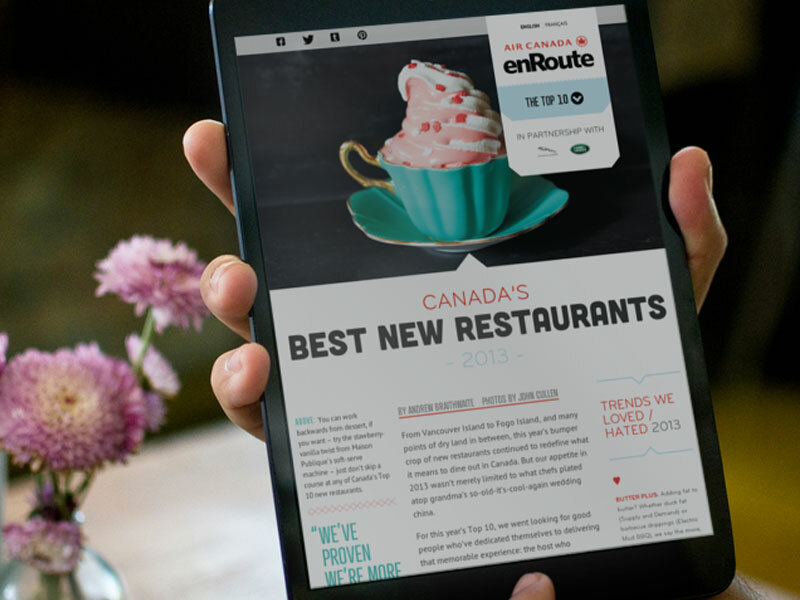 Featured as a key piece of the annual Canada’s Best New Restaurants campaign. 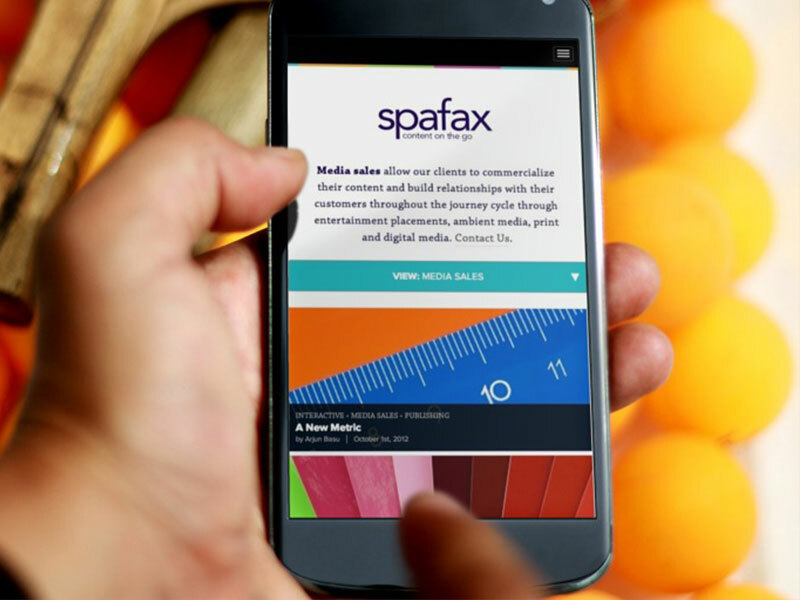 Create a publication to sell the expertise of Spafax by rounding up thought leaders and curating the best ideas in the industry. 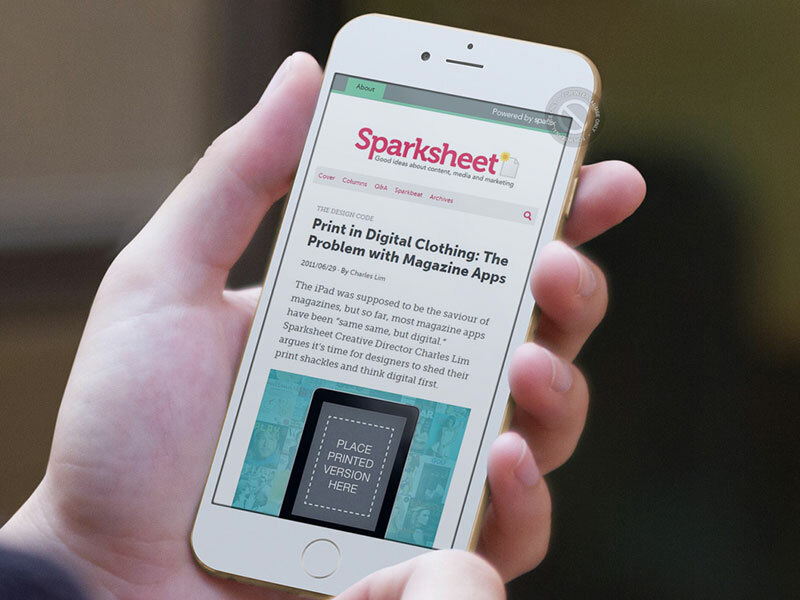 Sparksheet is a multiplatform magazine that explores the unexpected connections between different parts of the media and marketing universe, from journalism and entertainment, to advertising and technology. 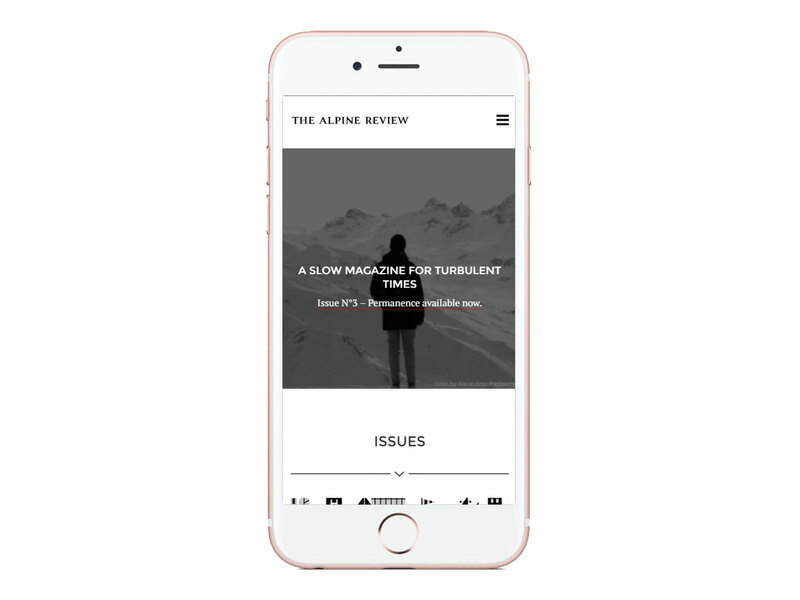 As the founding Creative Director (and columnist), I wanted to create a clean and focused reading experience to showcase the ideas as a contemporary magazine, rather than just another marketing blog. I also programmed the site myself. 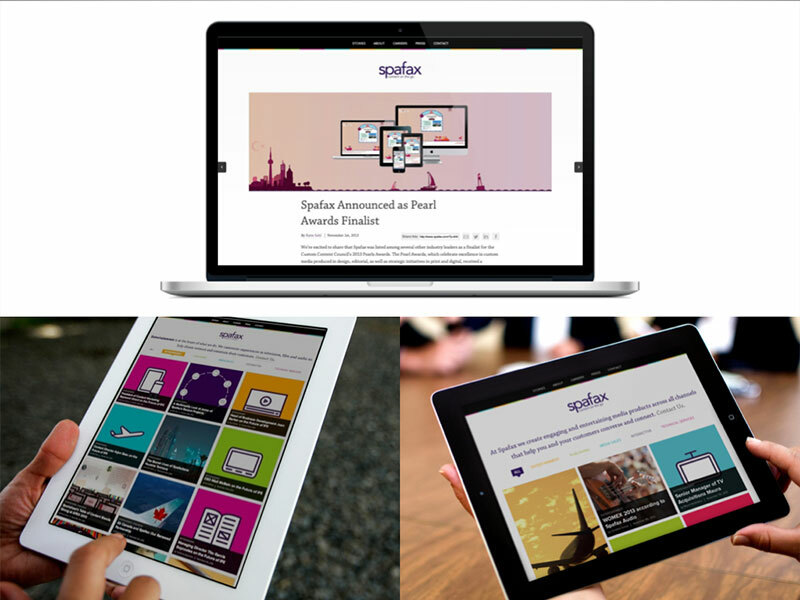 Besides great support through the upper ranks of Spafax and Tenthavenue, Sparksheet has won a bunch of awards, including three webby honorable mentions for the past three years, a Silver National Magazine award for Best Digital Design, and a record-shattering 22 Golds won at the Canadian Online Publishing Awards, the most by any publication ever. Along the way, I also won an Eddie award for a column about magazine apps. 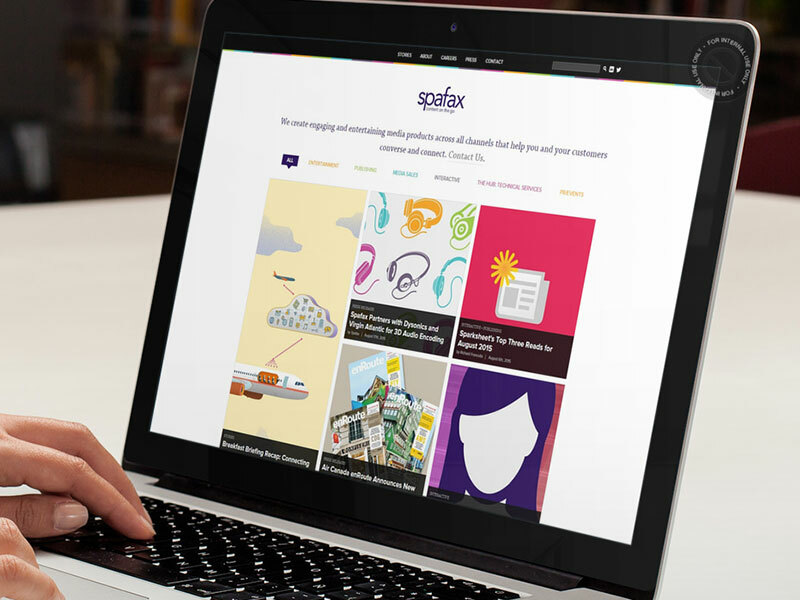 Create a “story hub,” giving all Spafax employees the opportunity to tell the company’s stories across the globe. 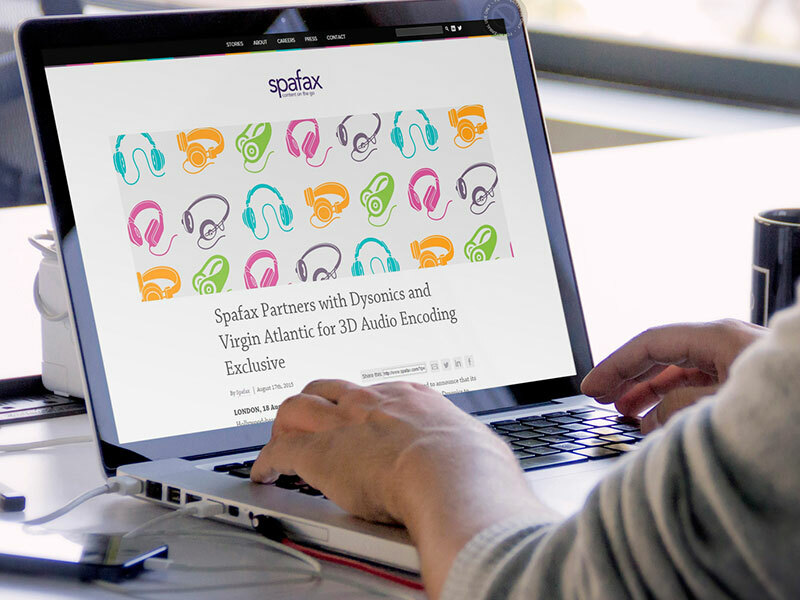 Over the years, I’ve redesigned Spafax’s corporate site three times and have served as Creative Director for its global corporate identity, from stationery to tradeshow booths. 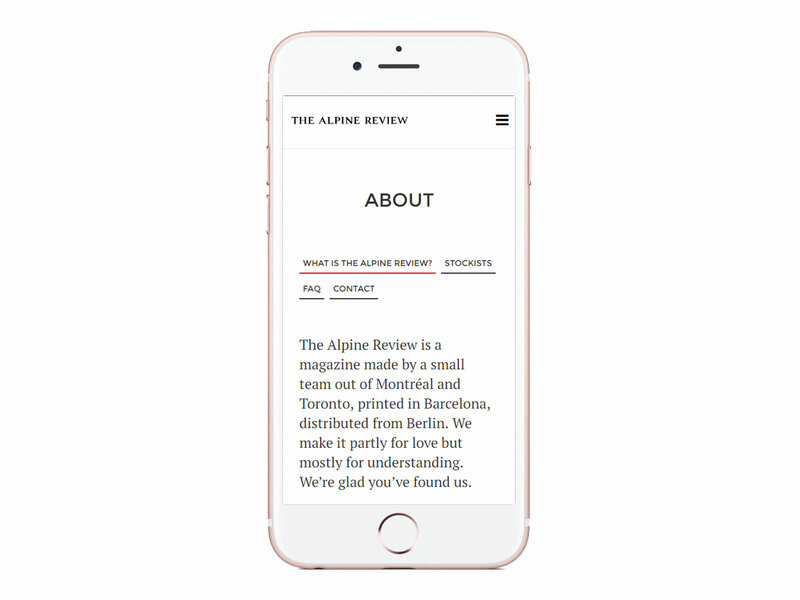 Before beginning this project, we pored through and documented all past feedback from the website’s previous incarnation in both style and structure. 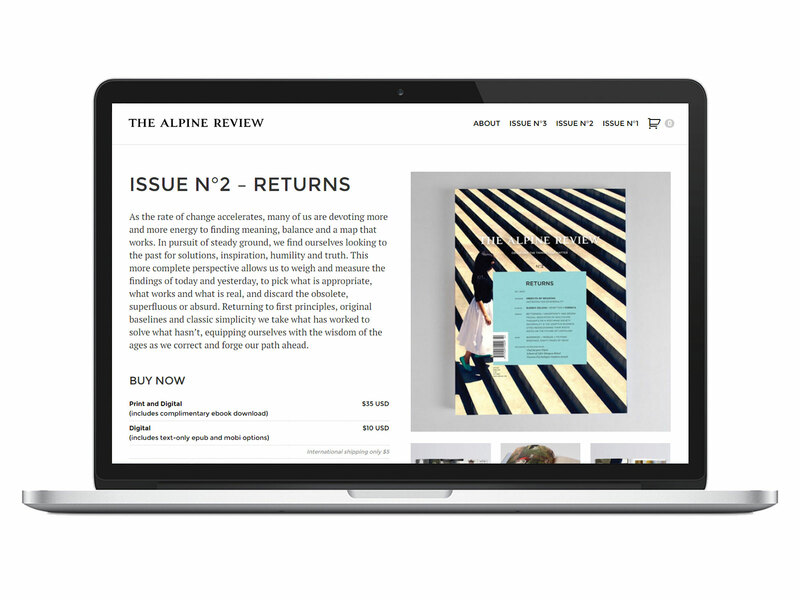 We wanted to reduce the barrier to publish and encourage content of any kind. 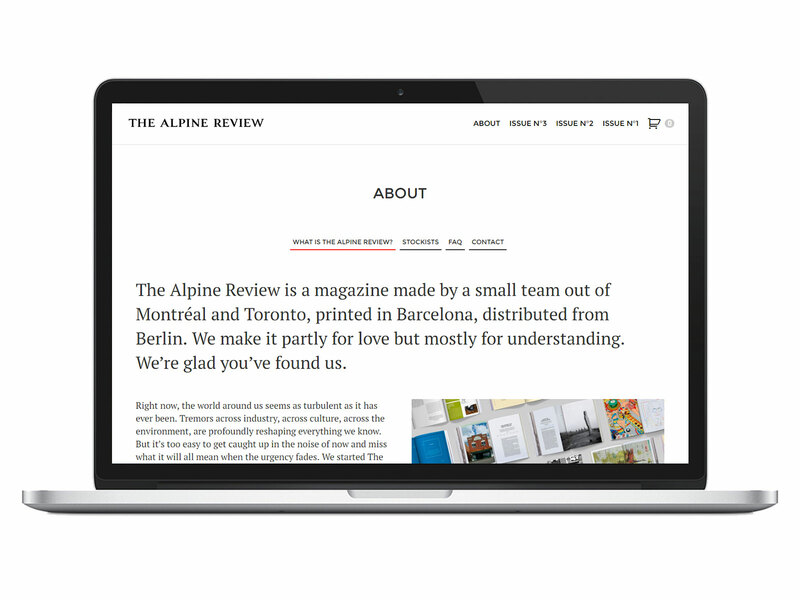 We stripped away all the fluff and favoured a minimal aesthetic, led by a carefully crafted grid system with carefully cropped visuals flowing through it. 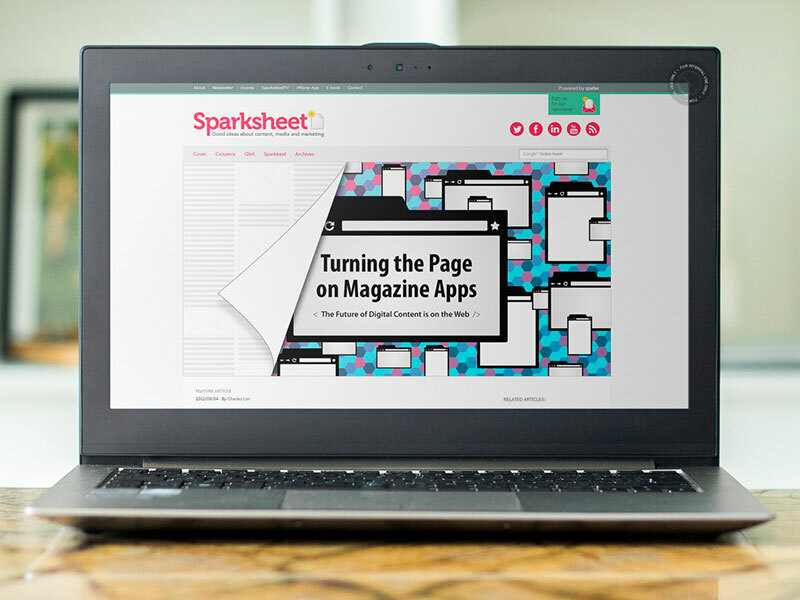 Besides being a corporate website that the staff can be proud of, at its core, it’s a robust content platform that editors and general staff can easily update. 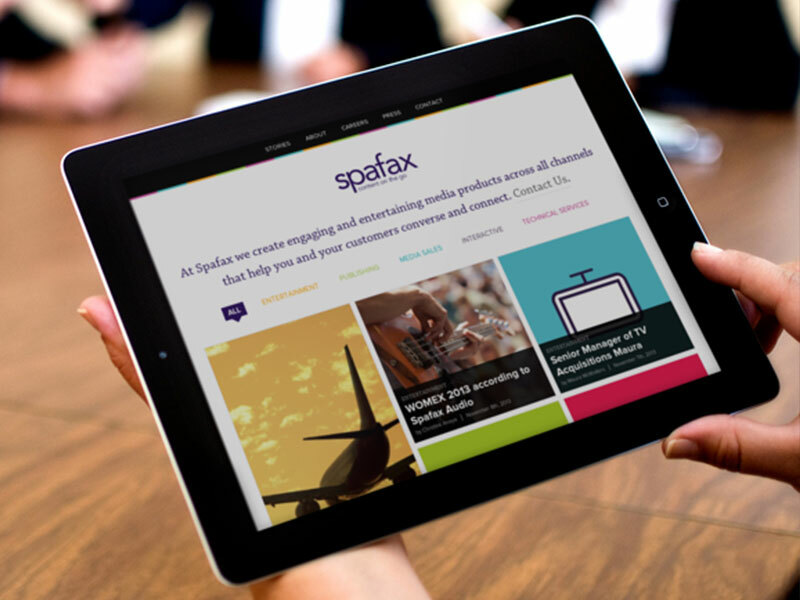 It also spawned a universal visual design language that can be reused throughout all Spafax communications. The Search For The Perfect Sketchbook Continues. 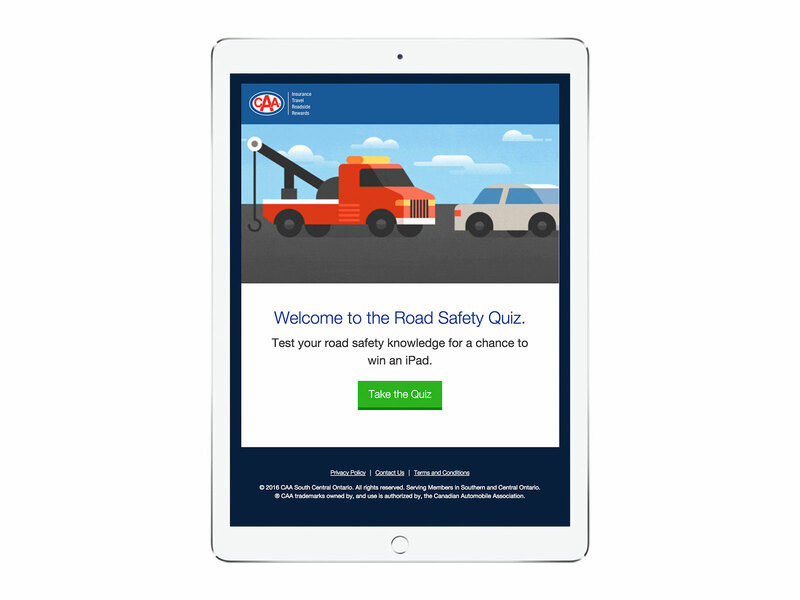 Is It The IPad Pro? 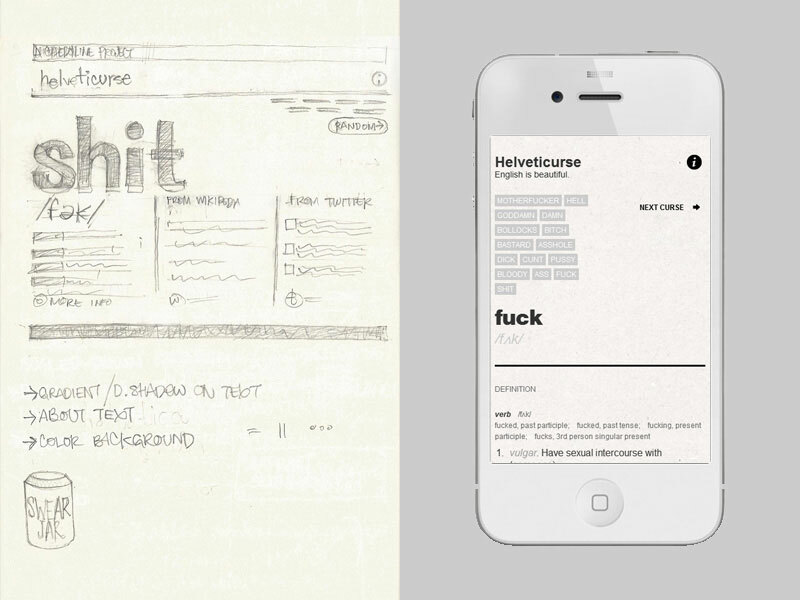 On my blog, Crooked Pixels, I write about design, technology, and everything in between. I sometimes post on , and . 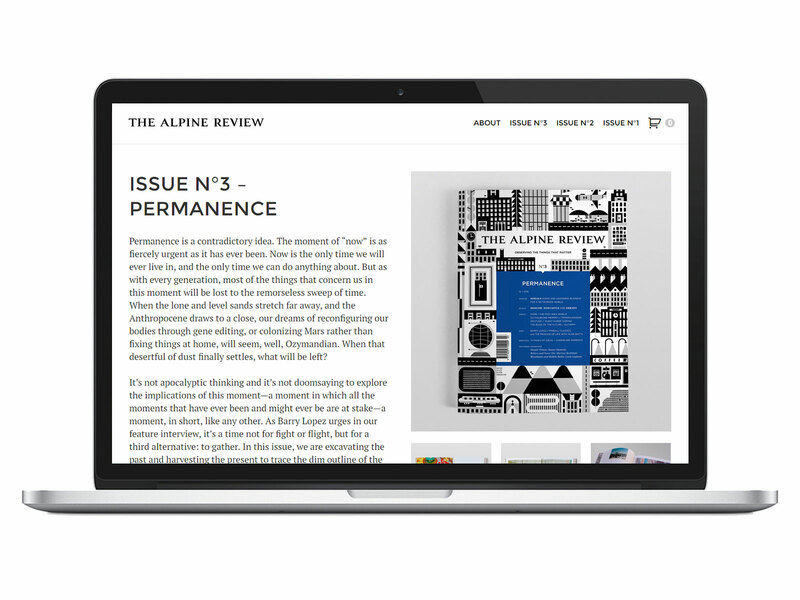 You can find some of my writing on . I’m currently the Director, Digital at Totem. Send an email to ask me anything or just to say hello.